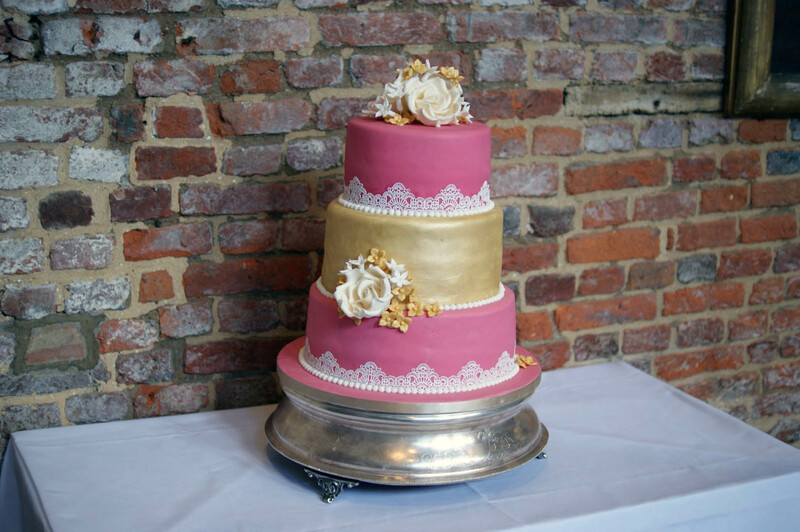 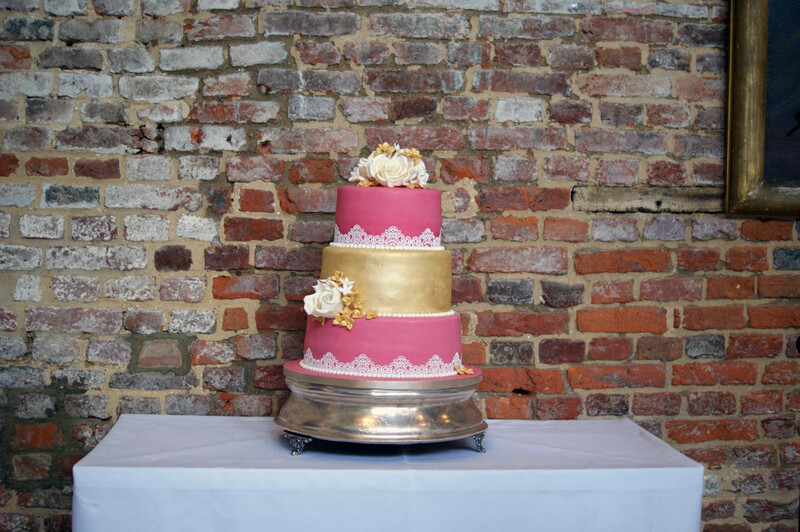 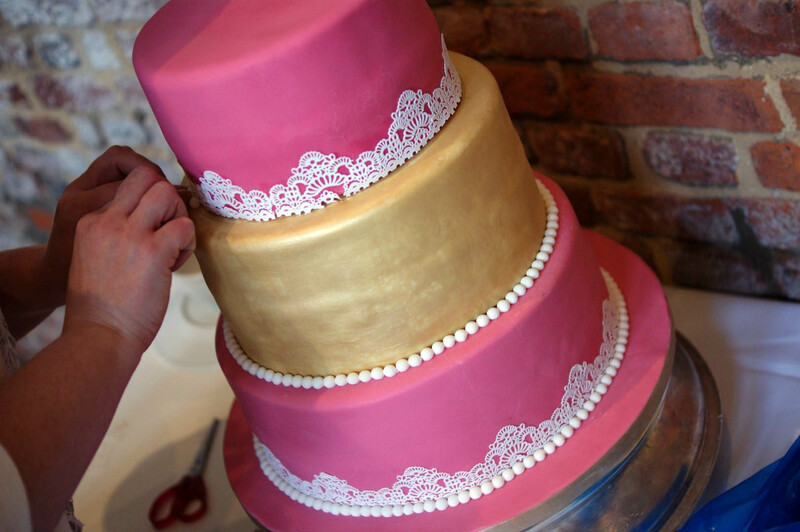 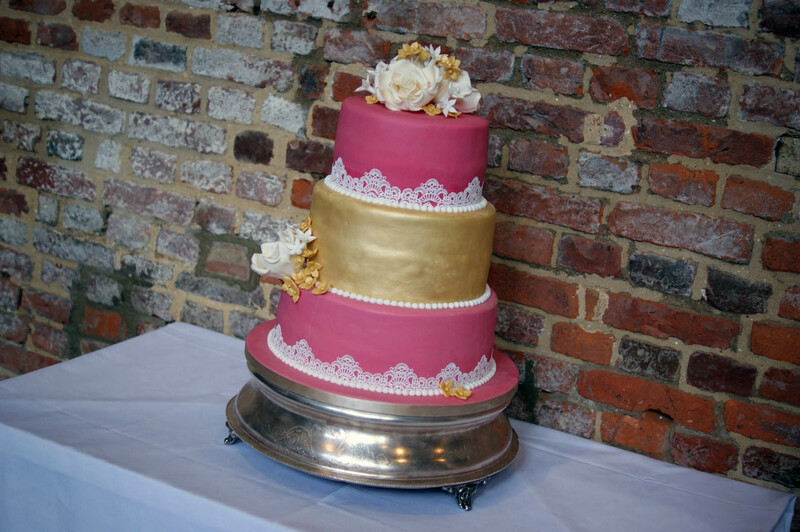 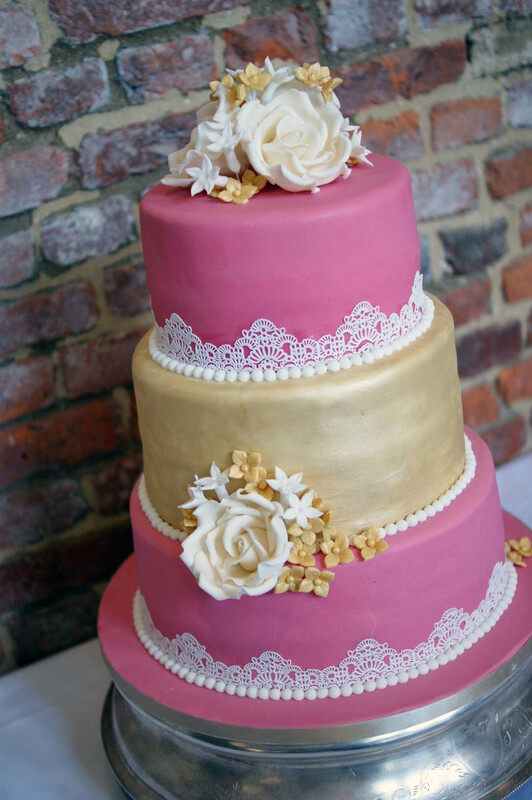 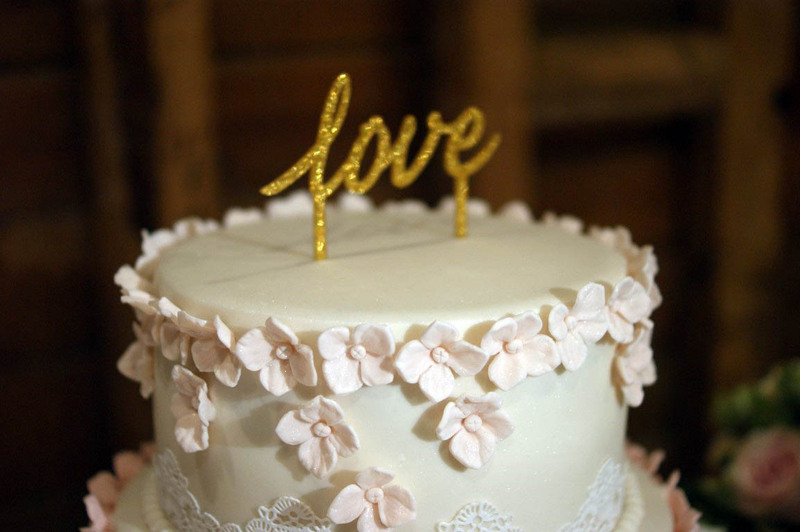 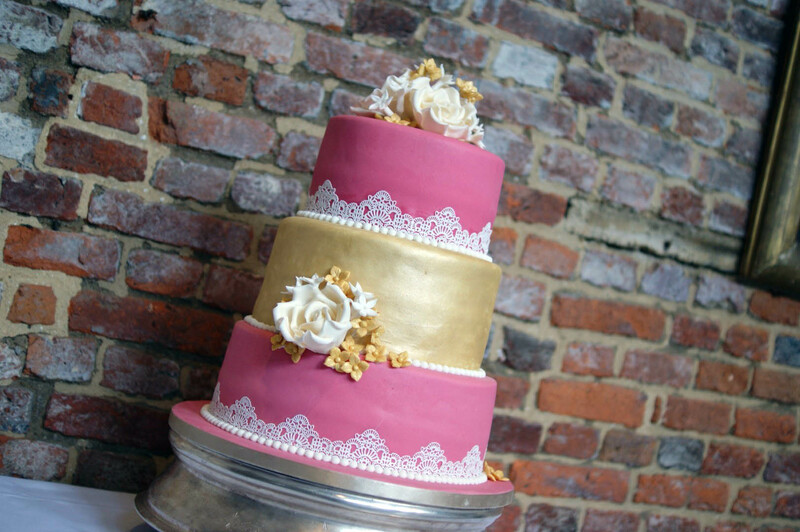 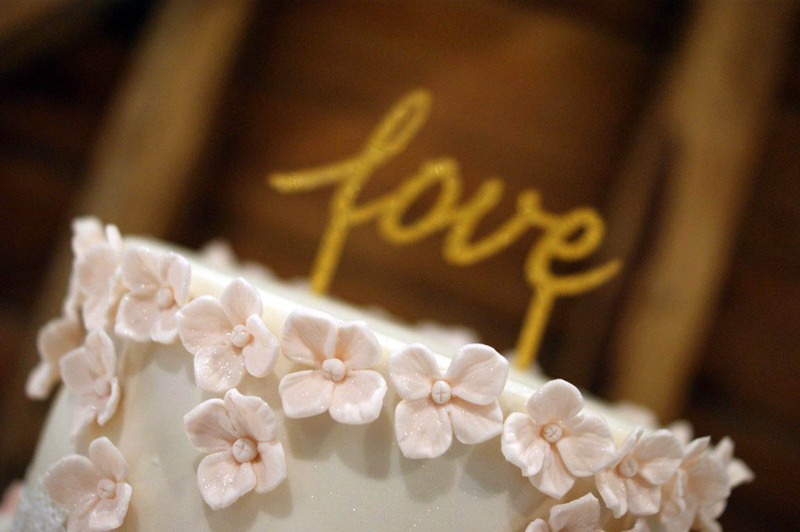 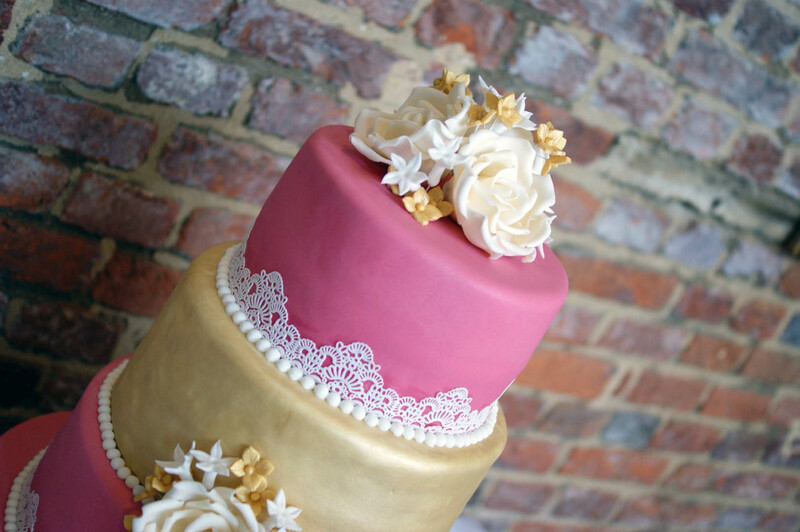 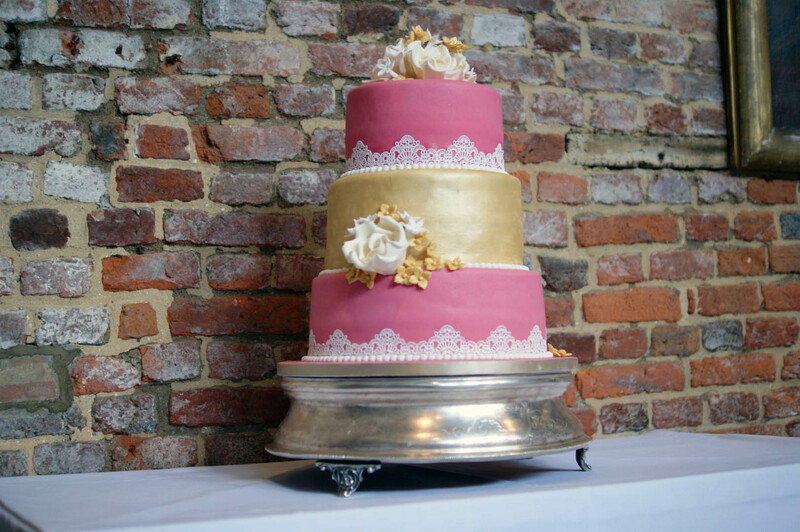 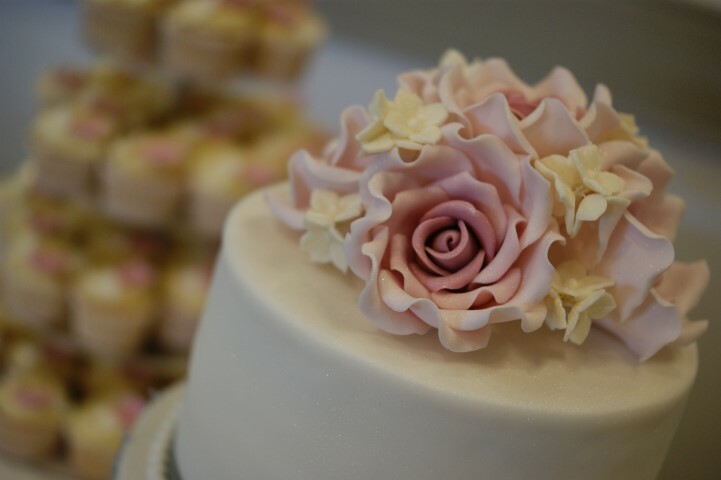 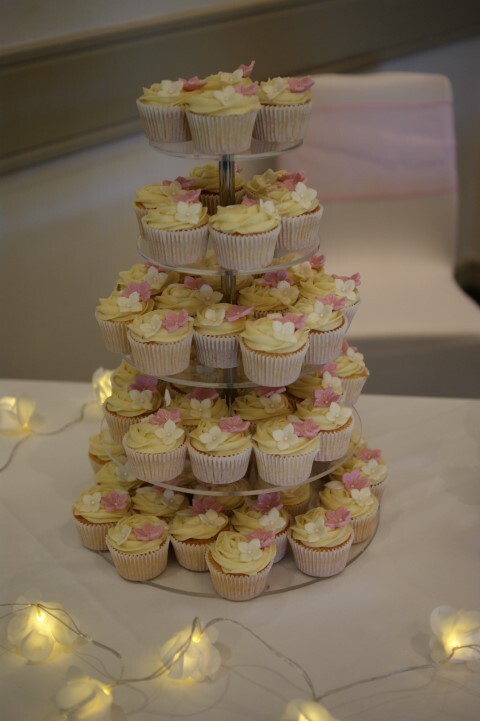 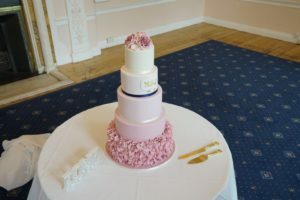 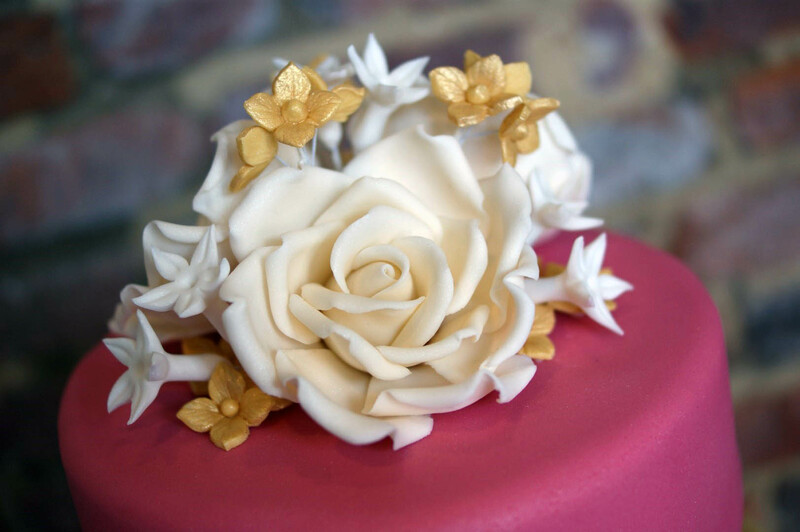 A simple fuchsia pink and gold wave effect wedding cake with a ivory handmade rose and eucalyptus coloured spray. 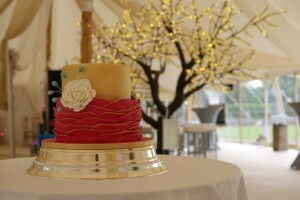 Set up at the bride’s home in a large marquee. 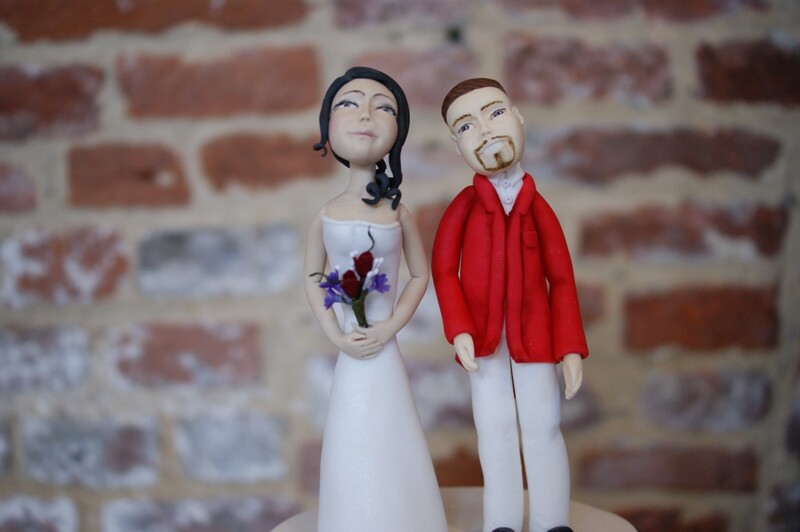 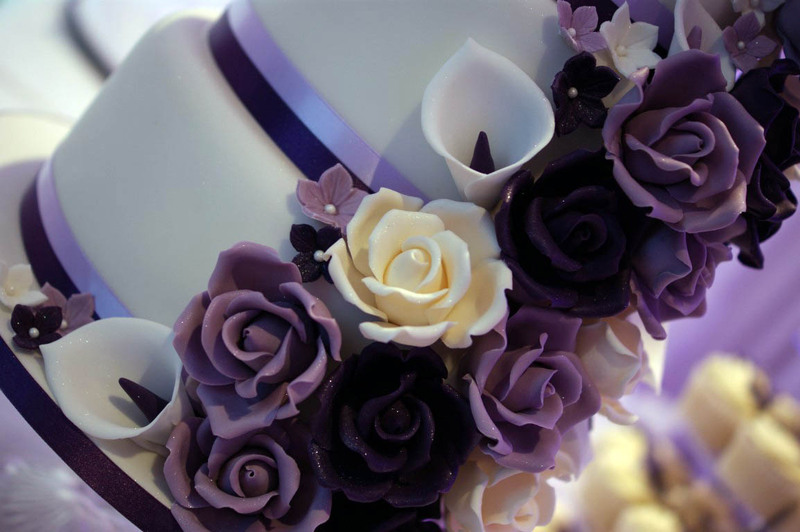 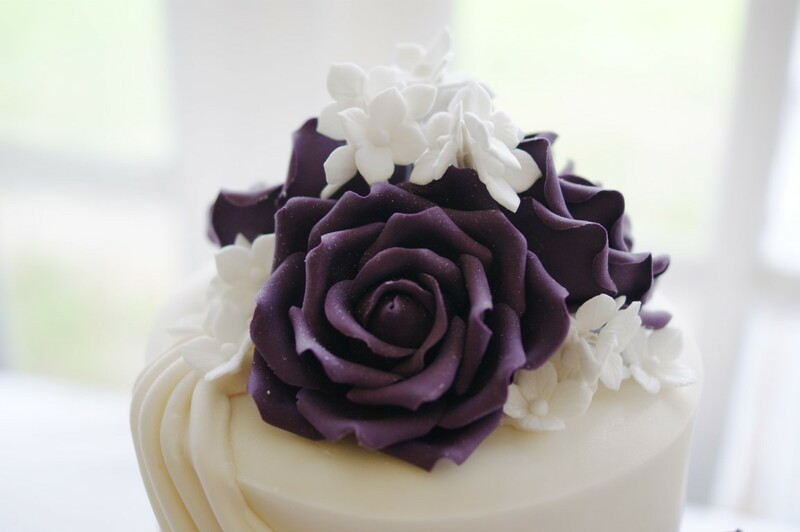 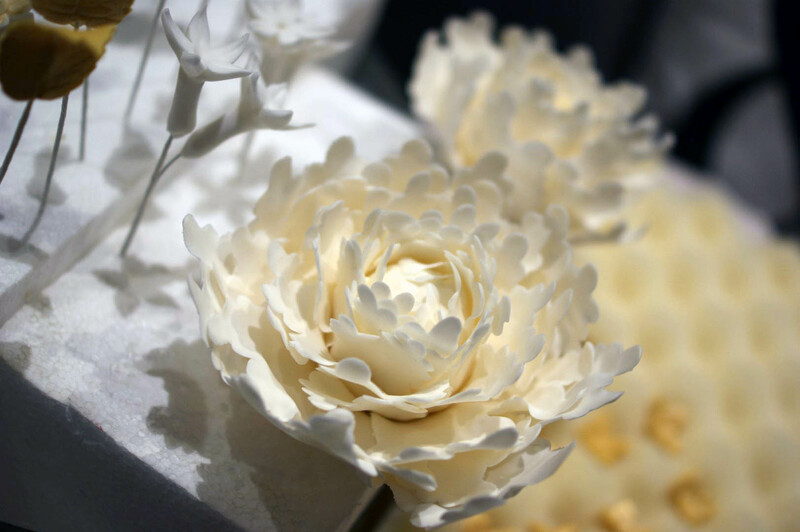 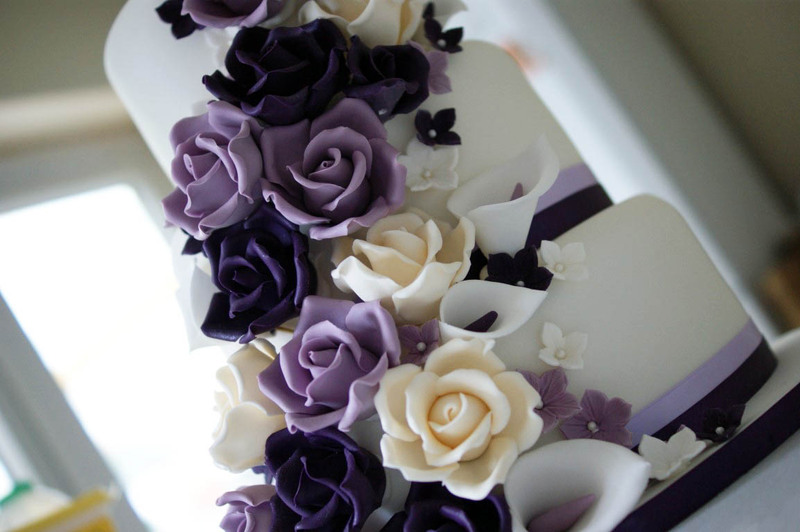 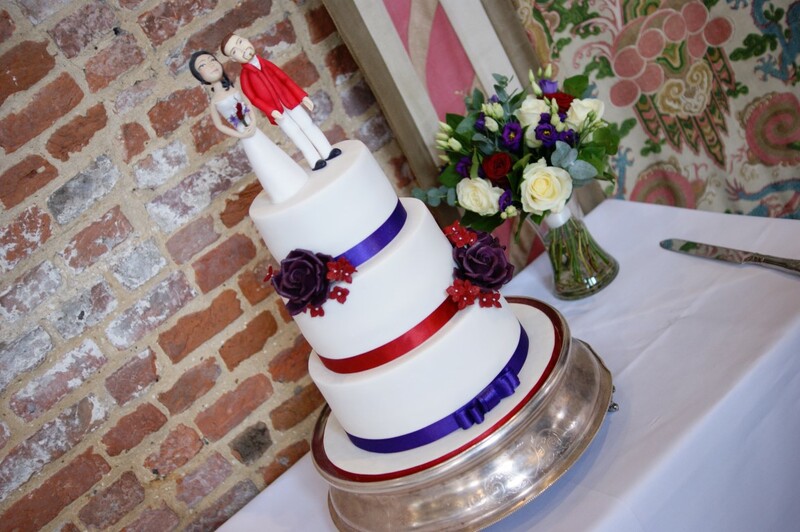 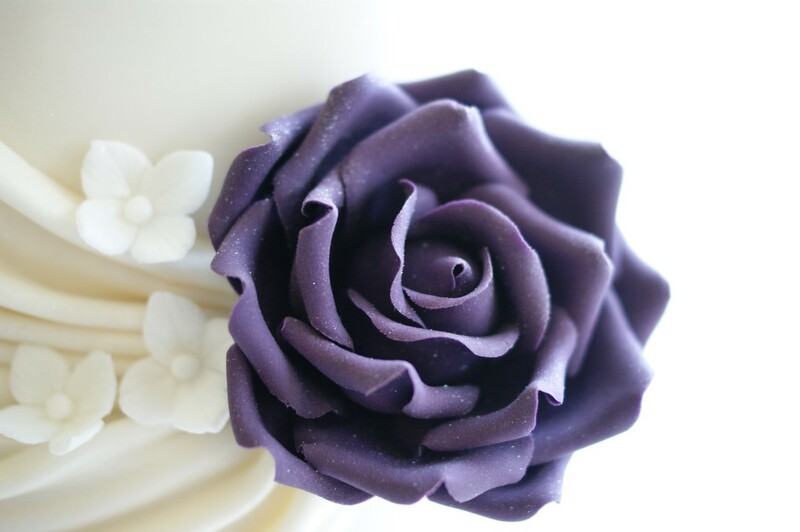 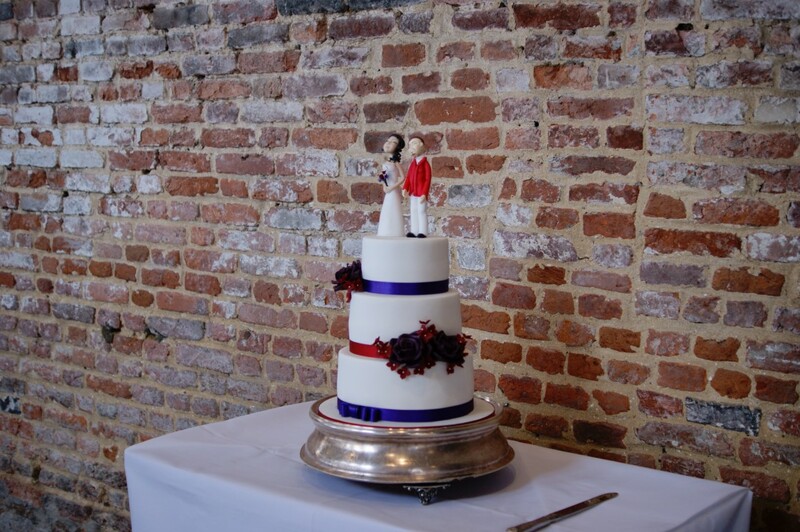 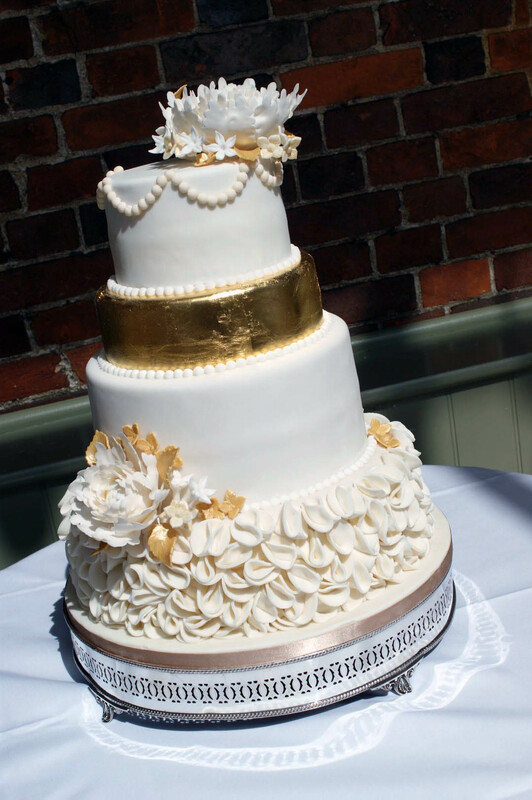 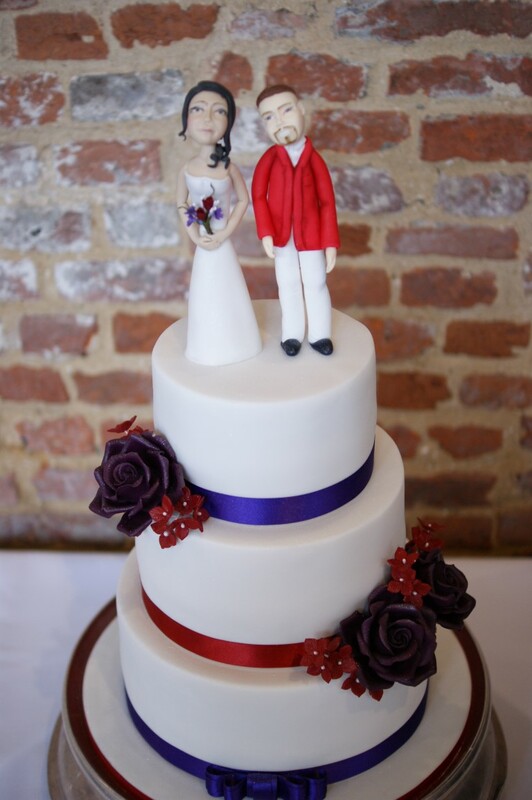 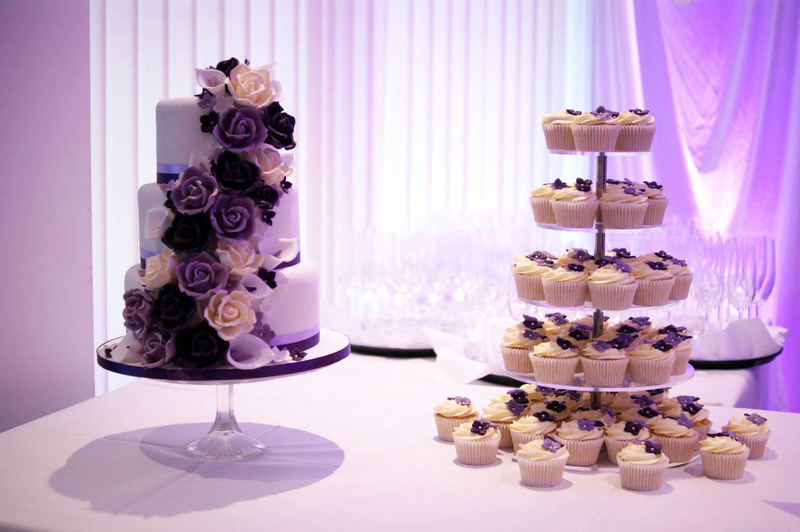 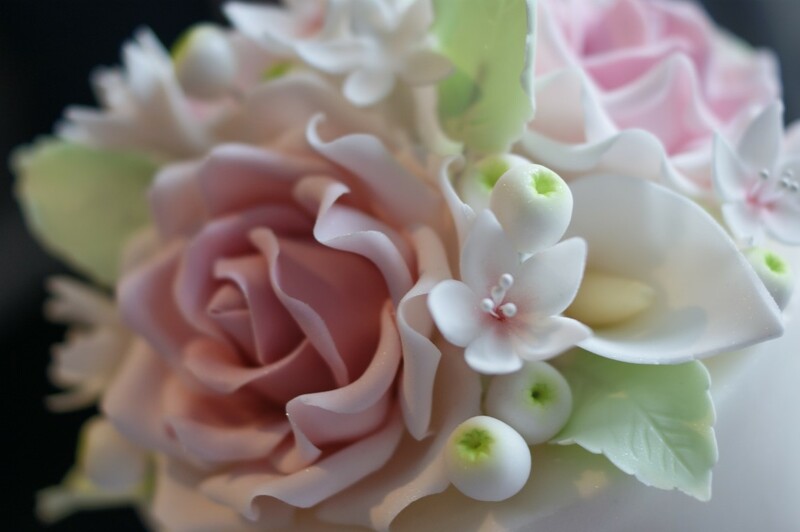 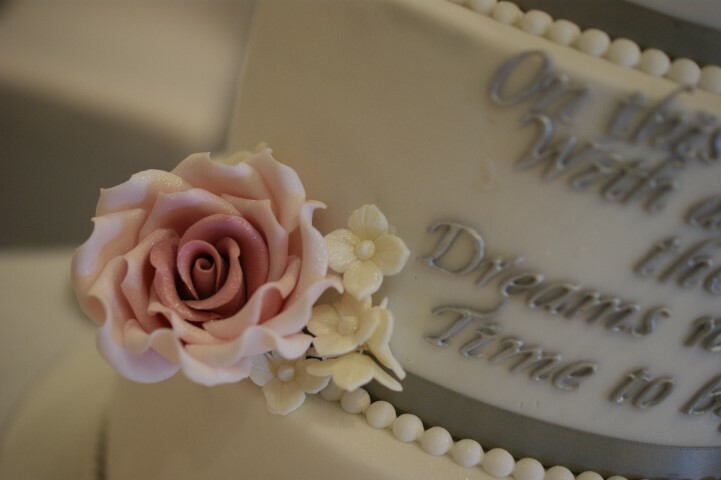 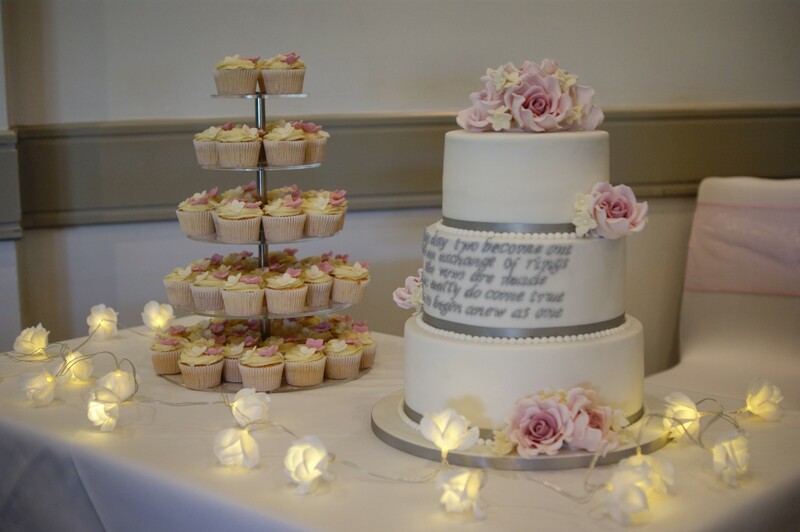 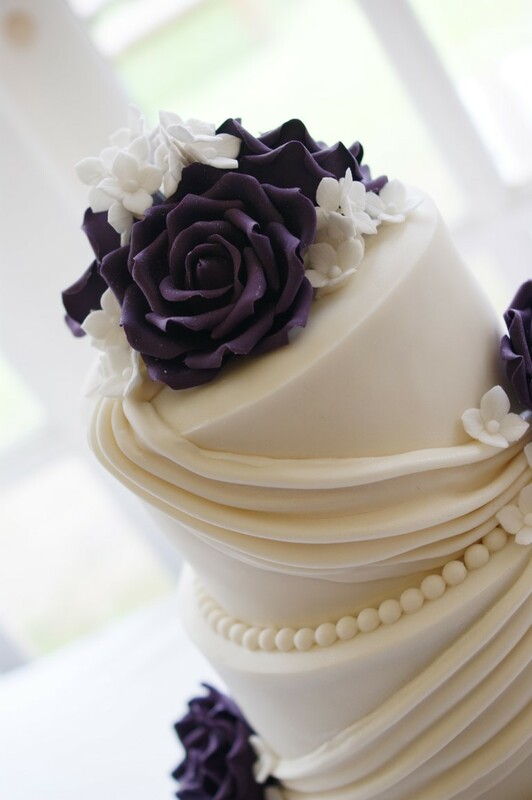 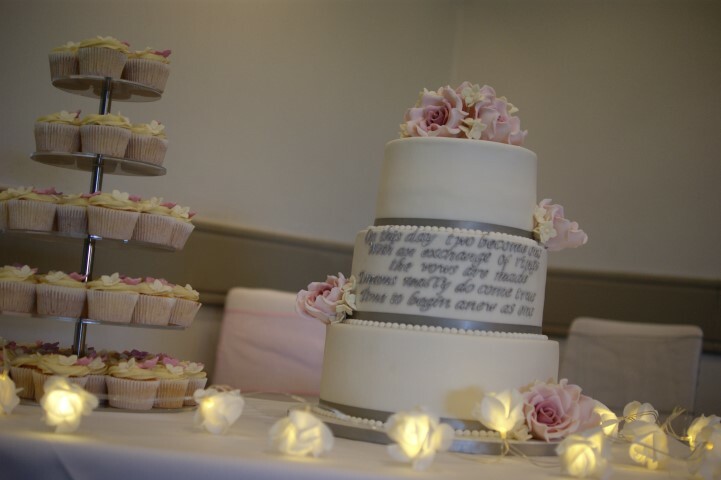 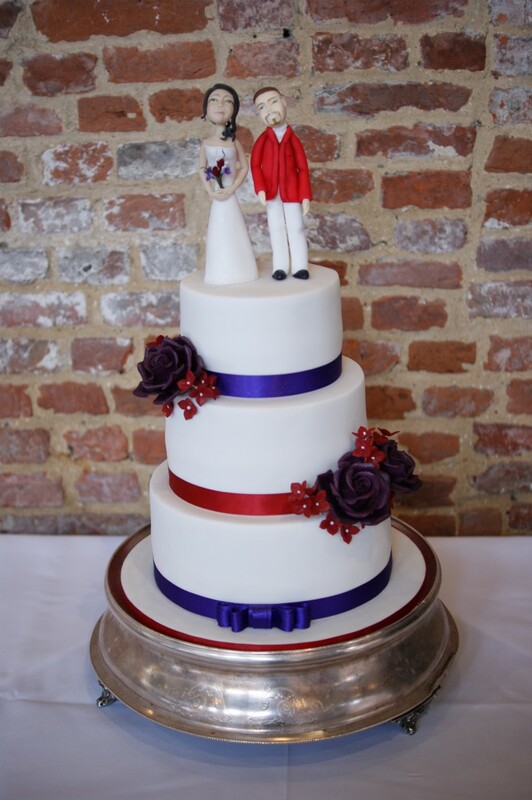 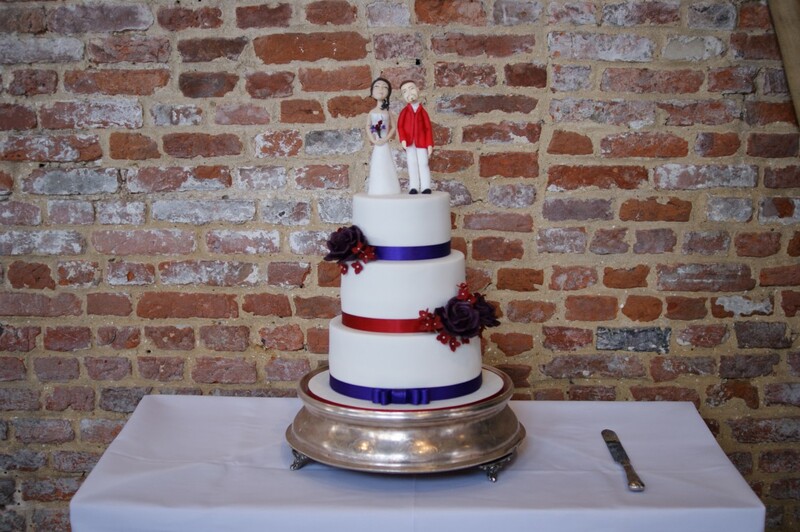 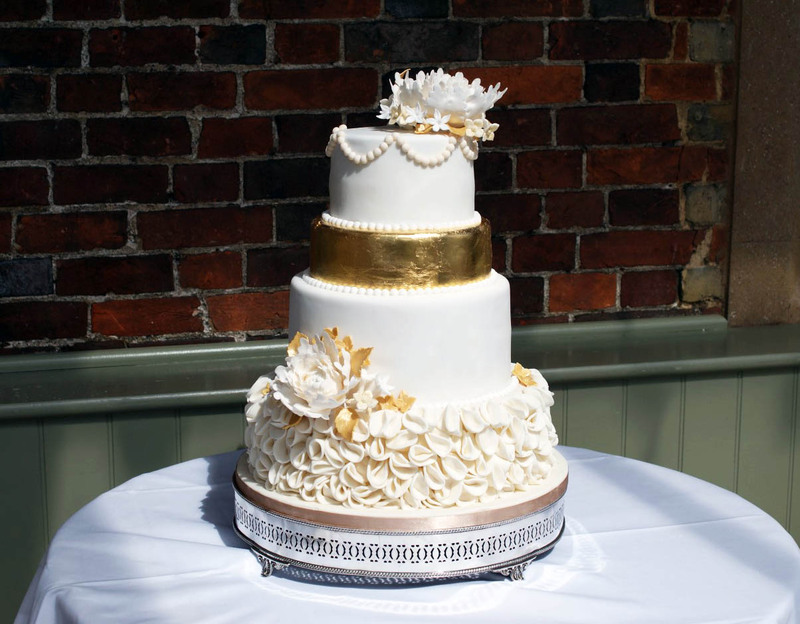 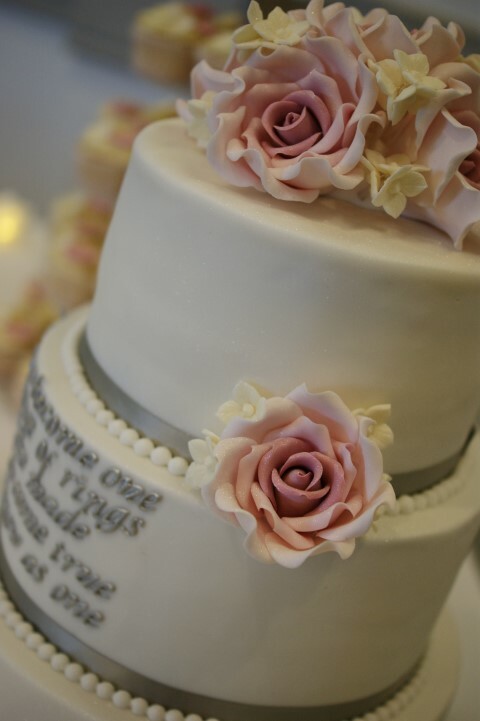 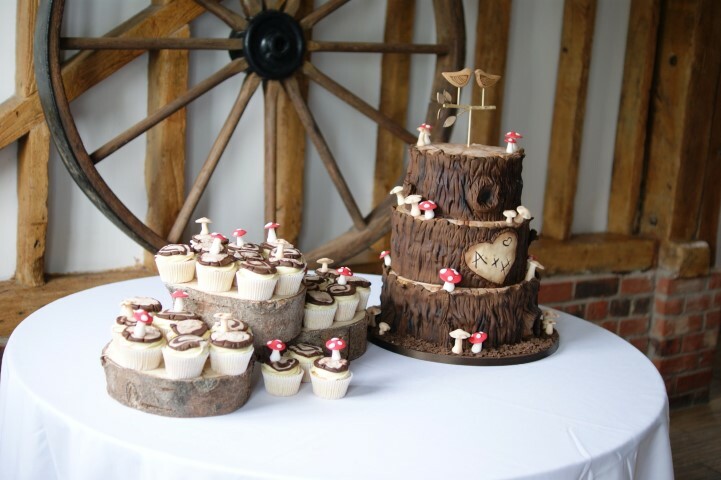 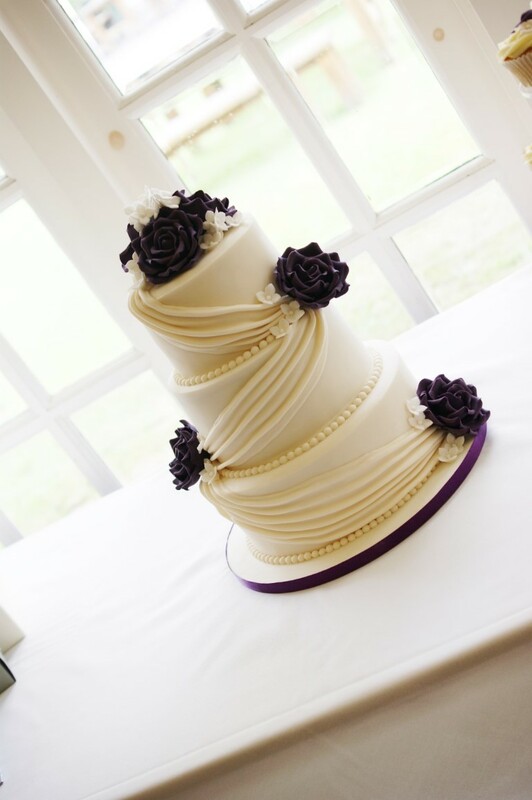 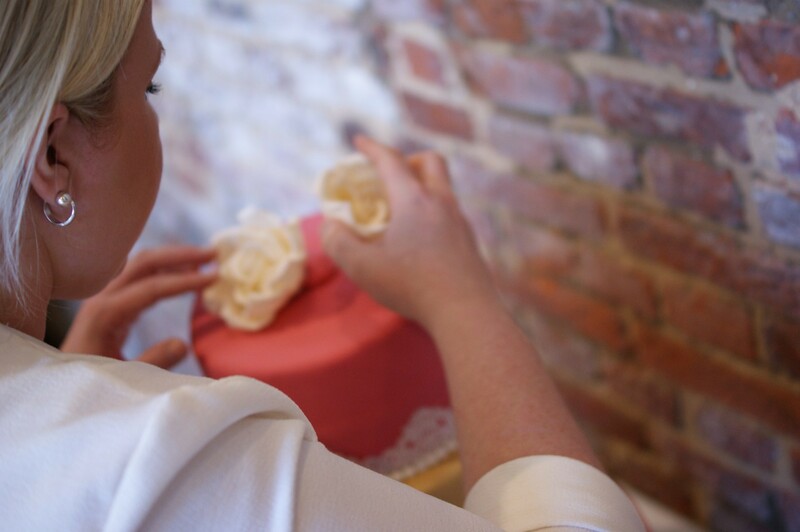 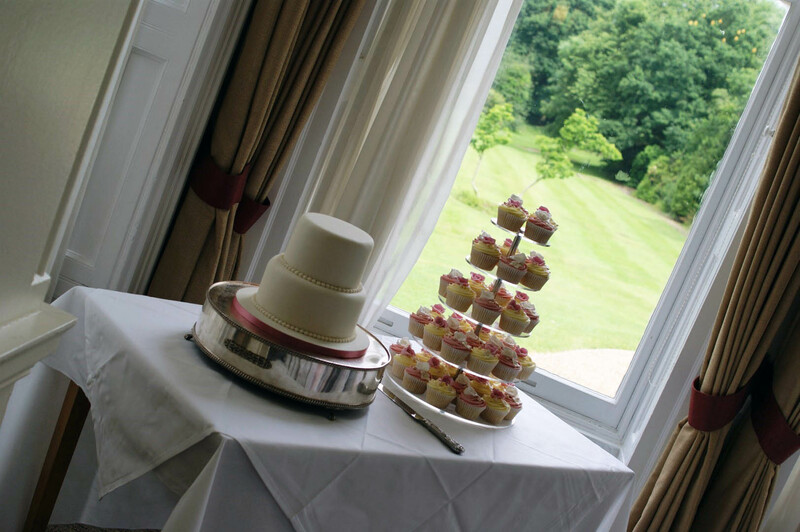 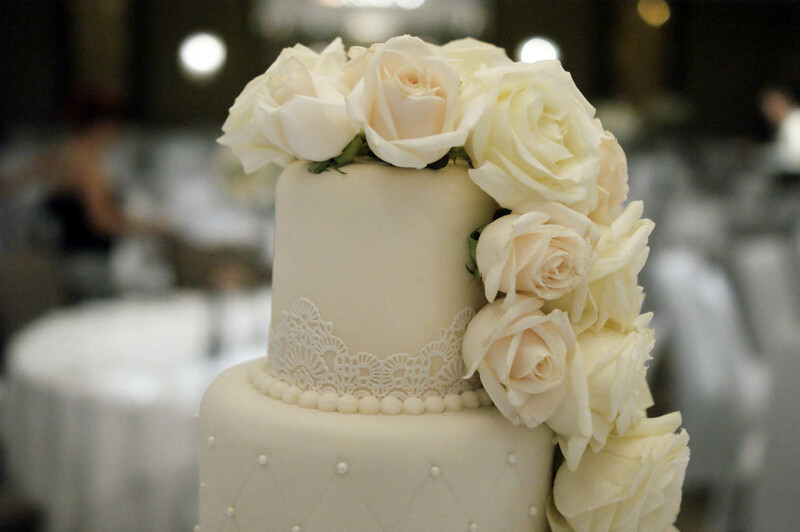 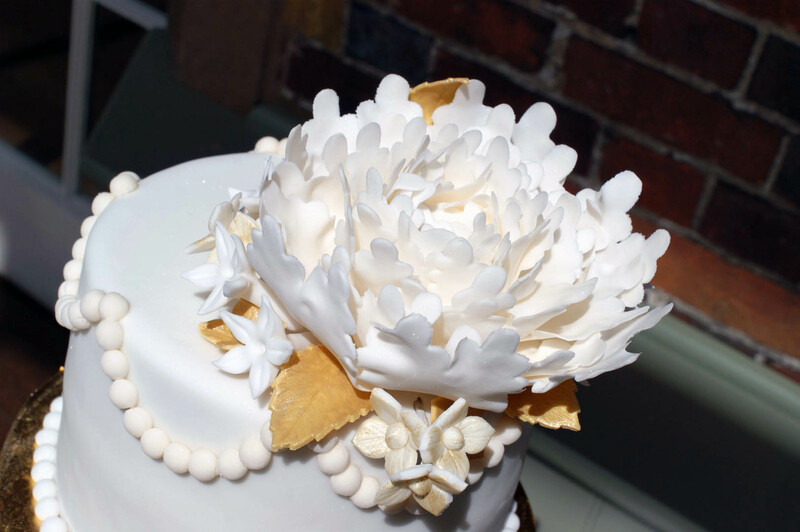 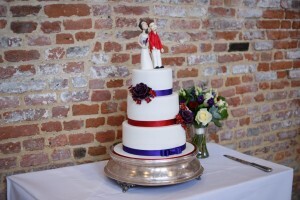 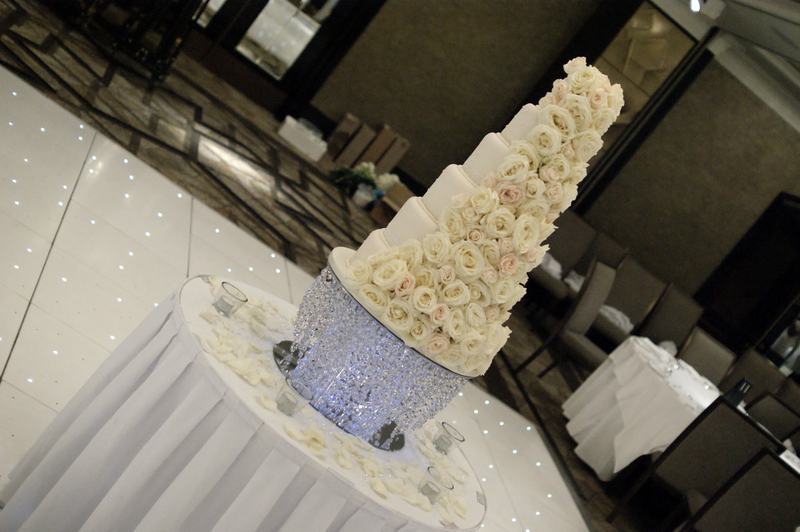 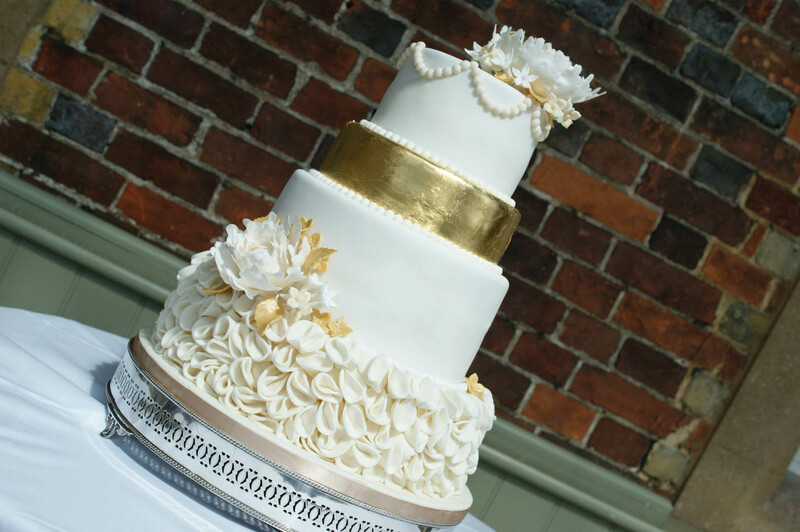 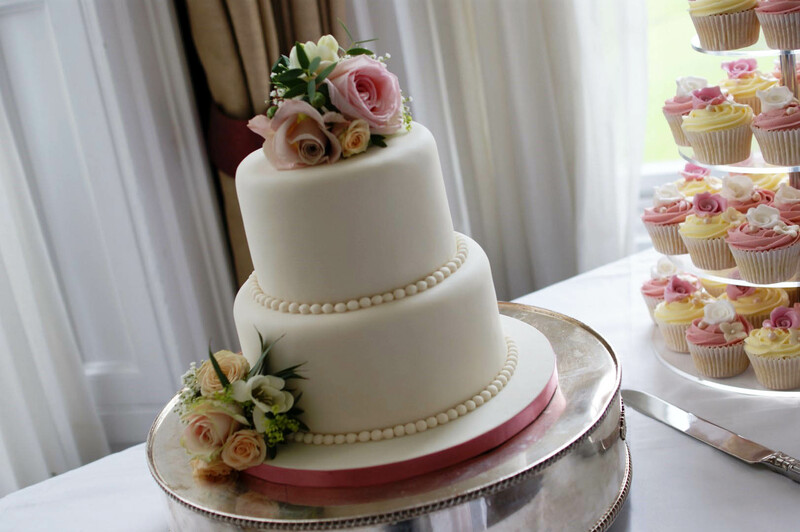 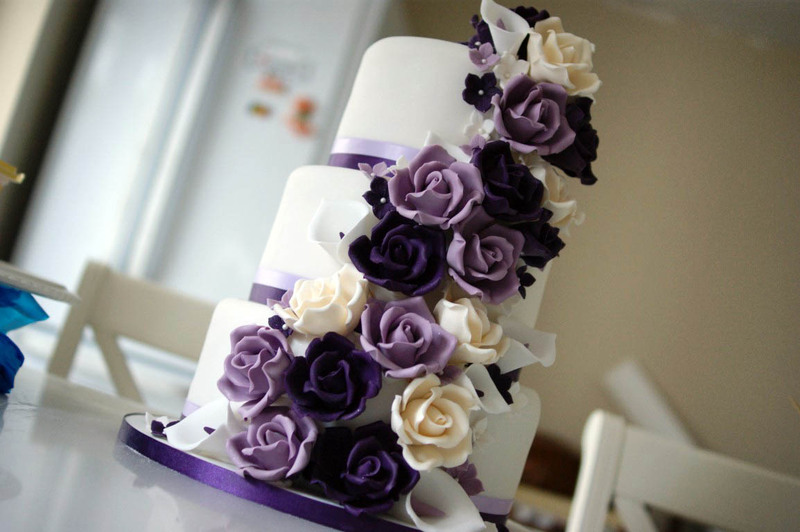 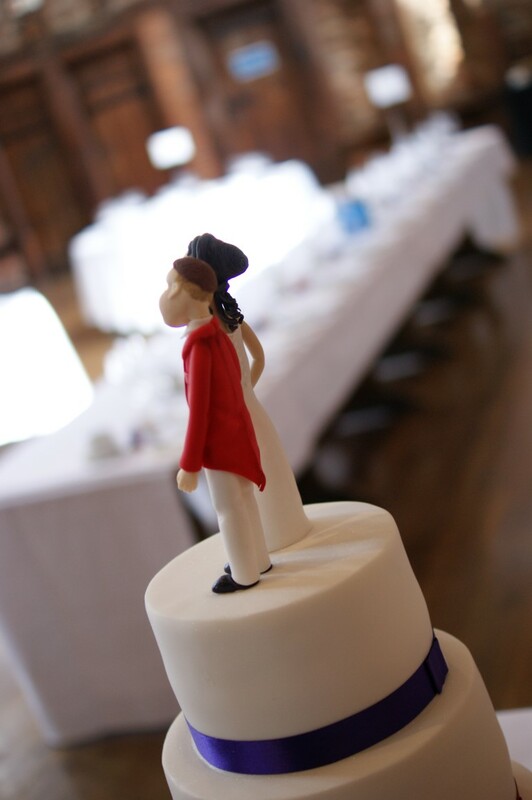 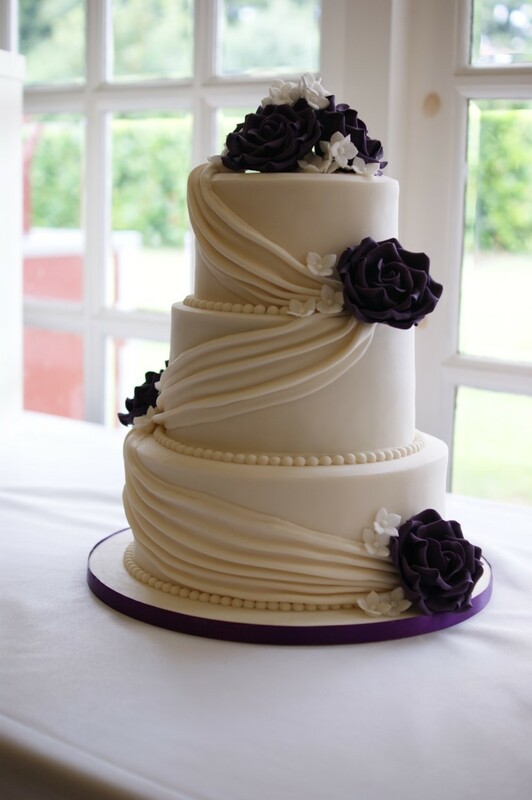 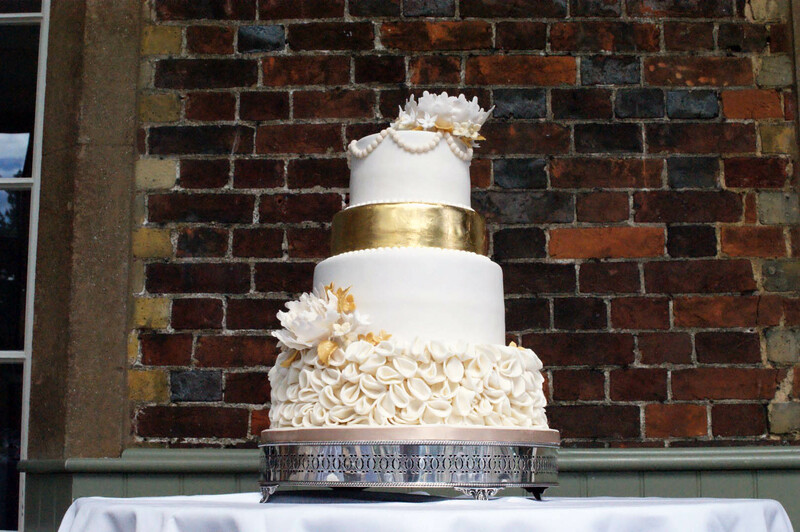 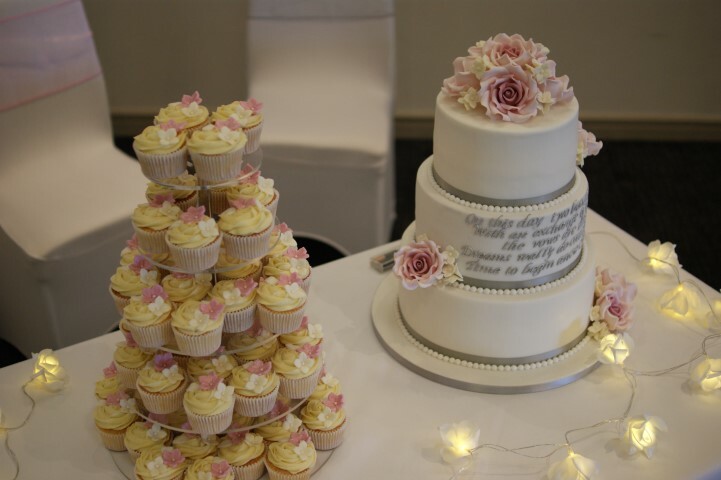 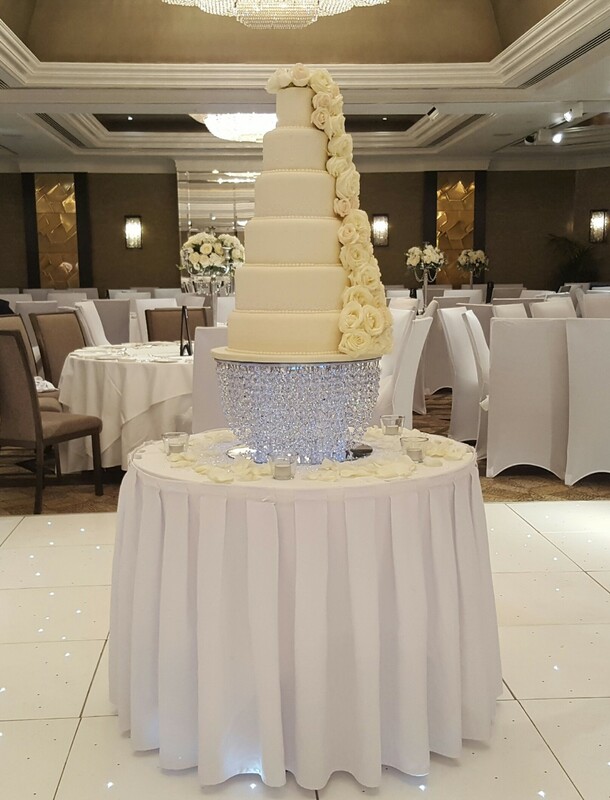 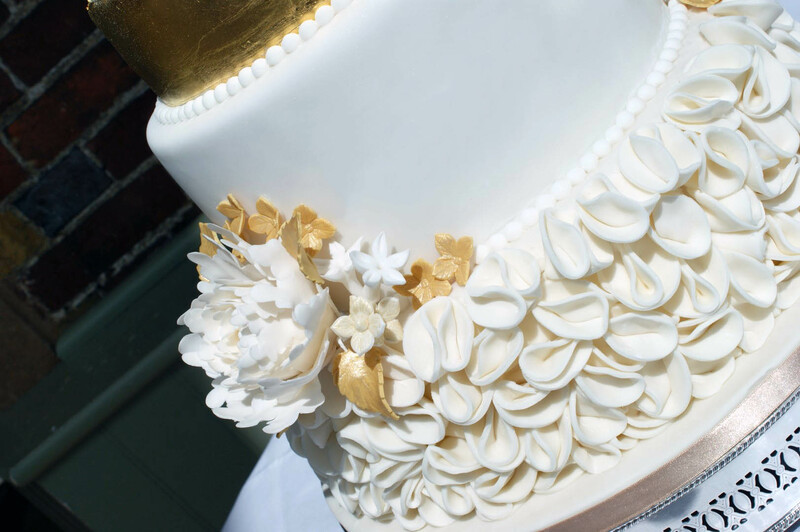 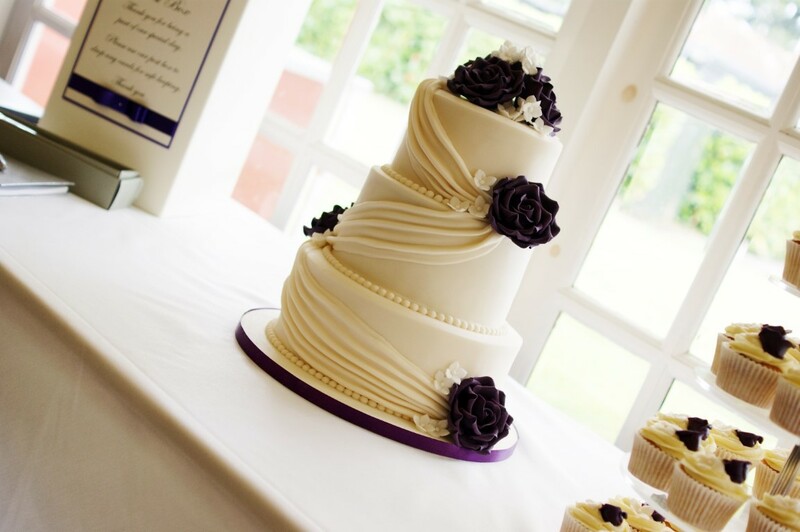 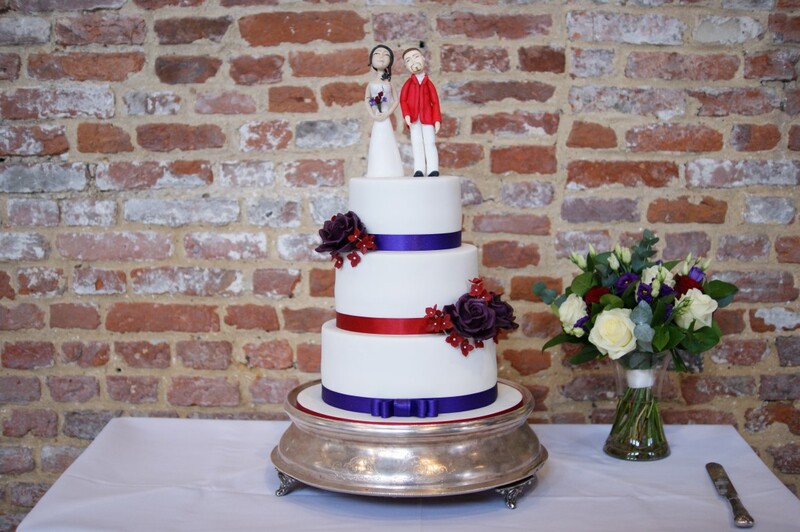 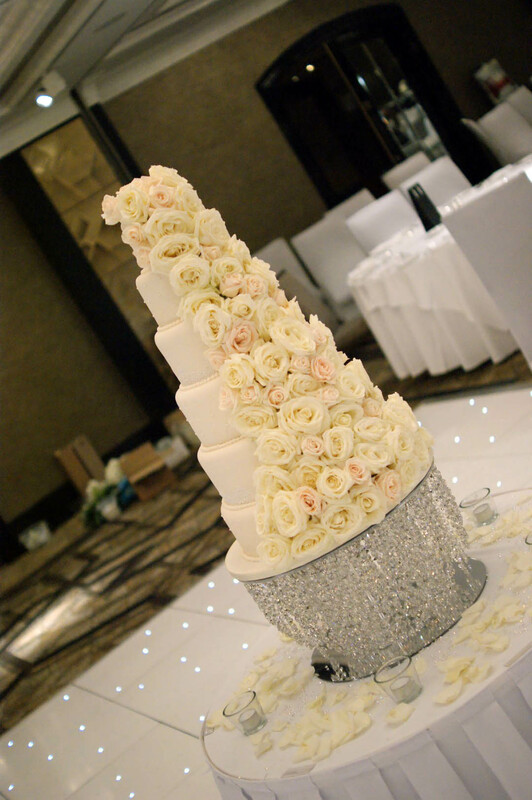 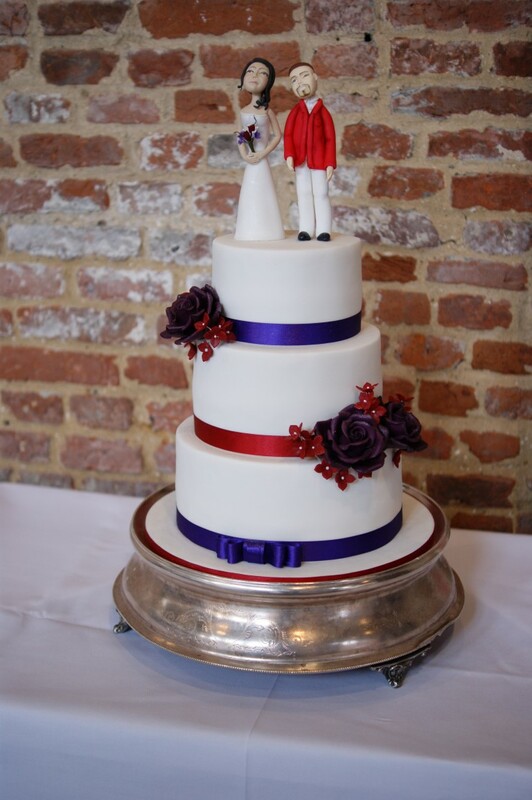 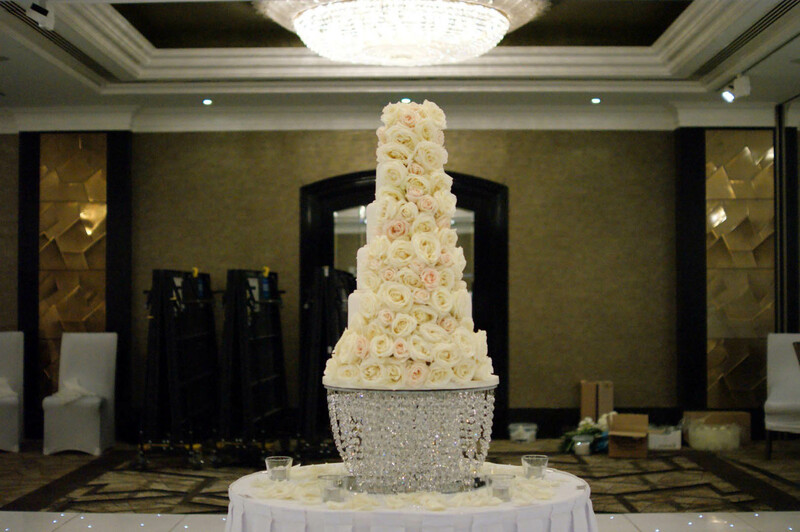 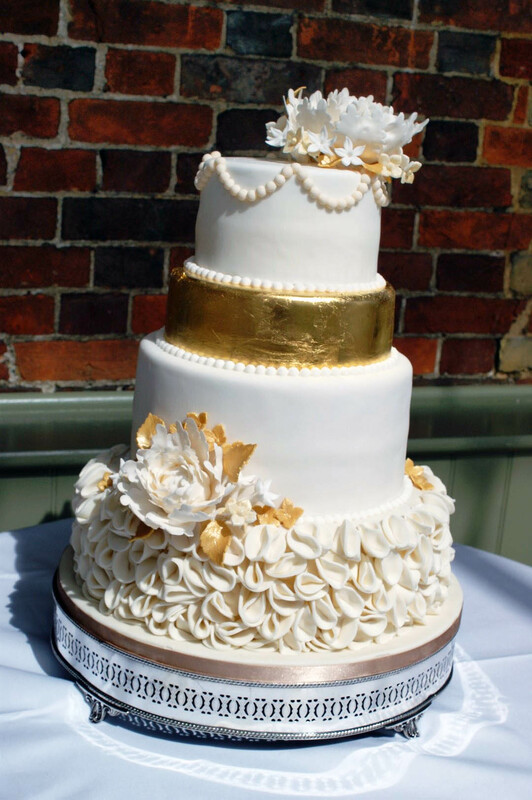 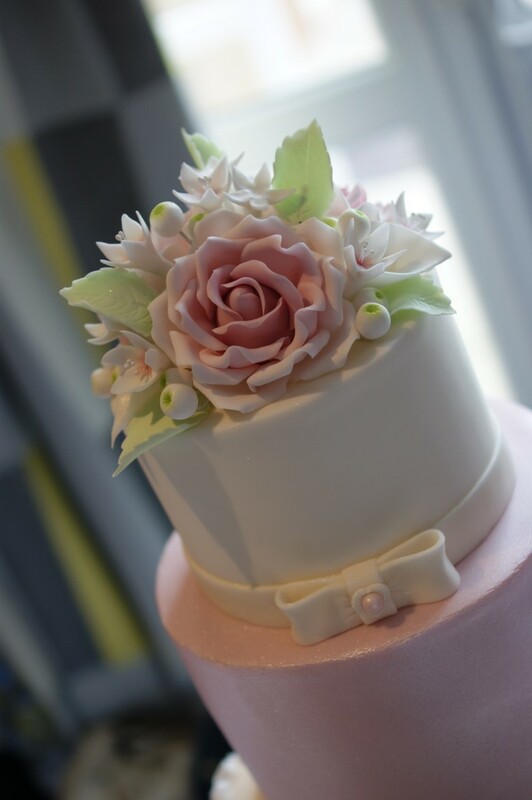 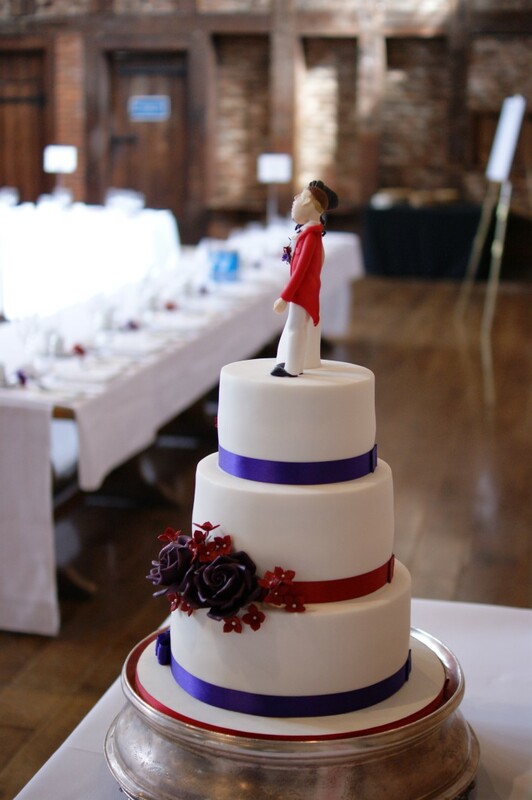 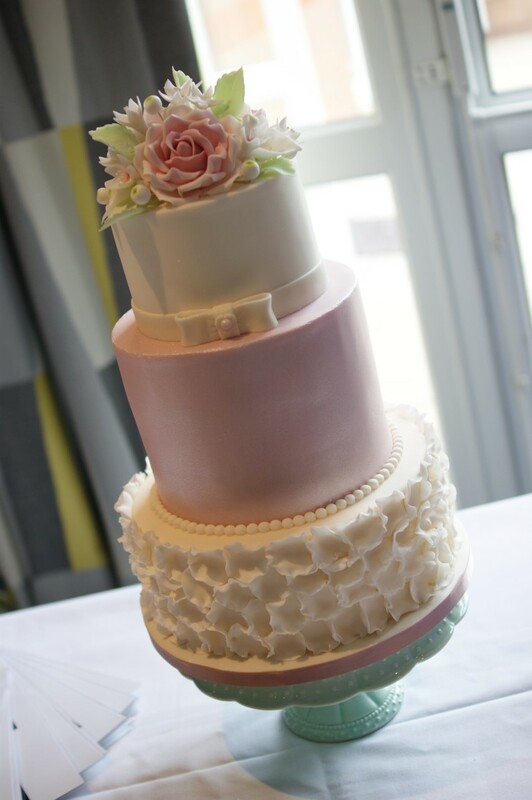 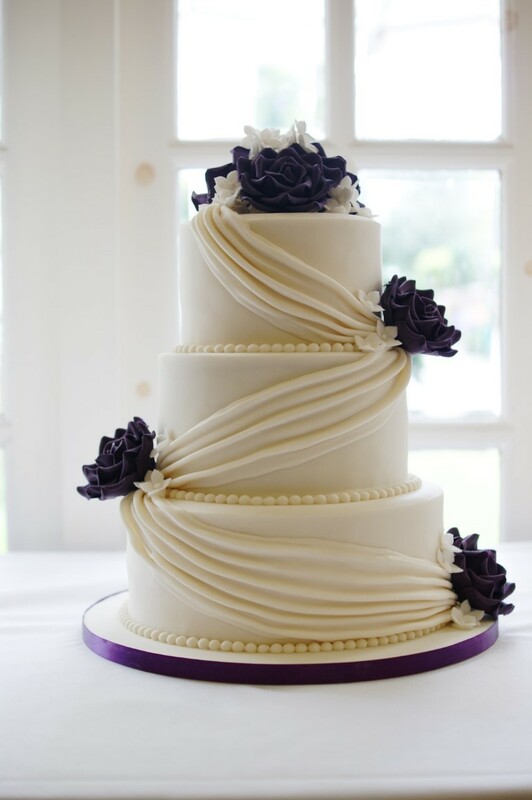 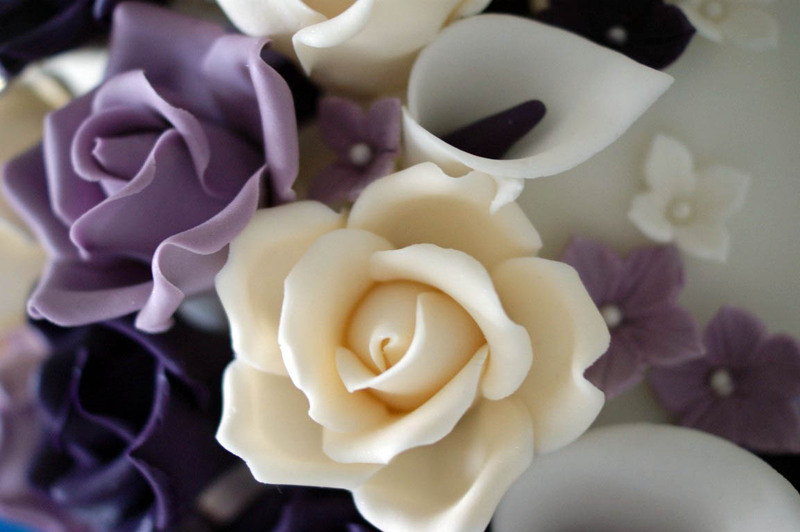 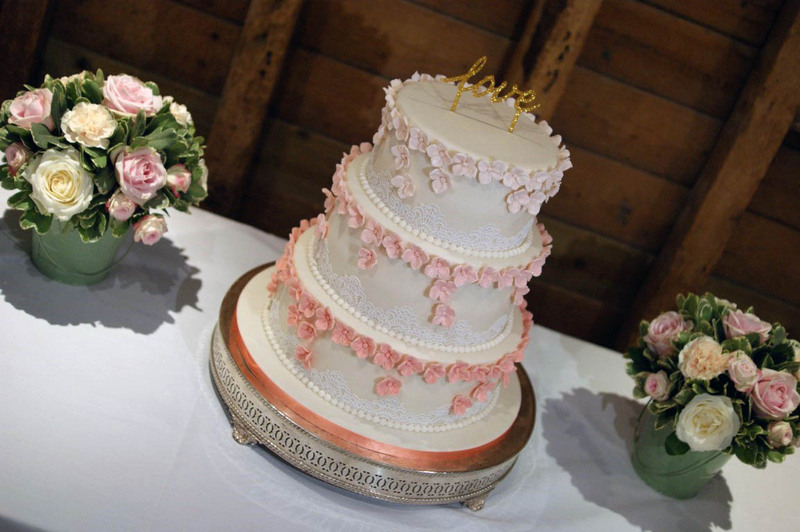 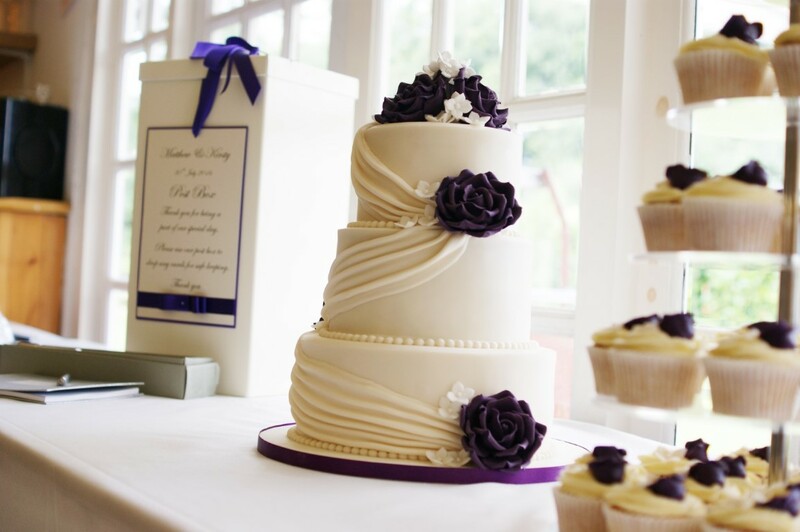 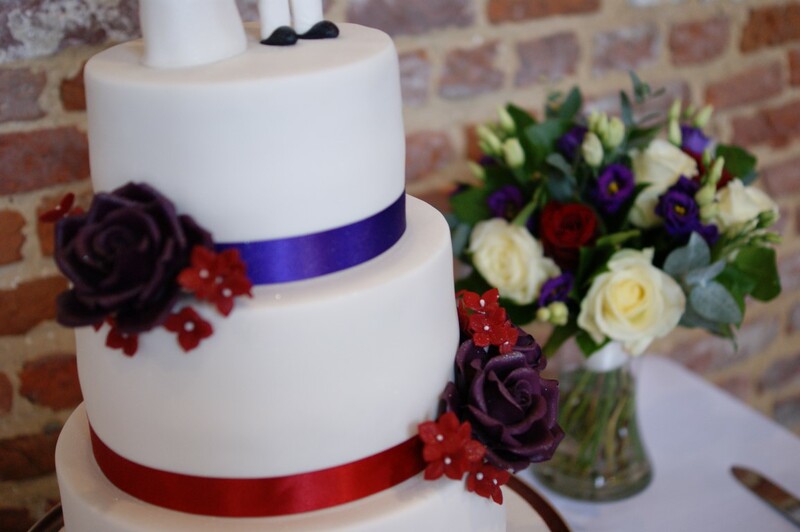 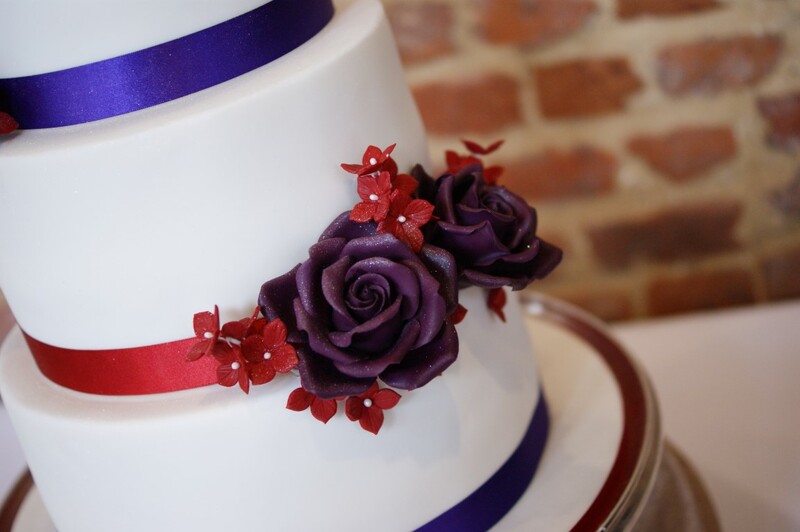 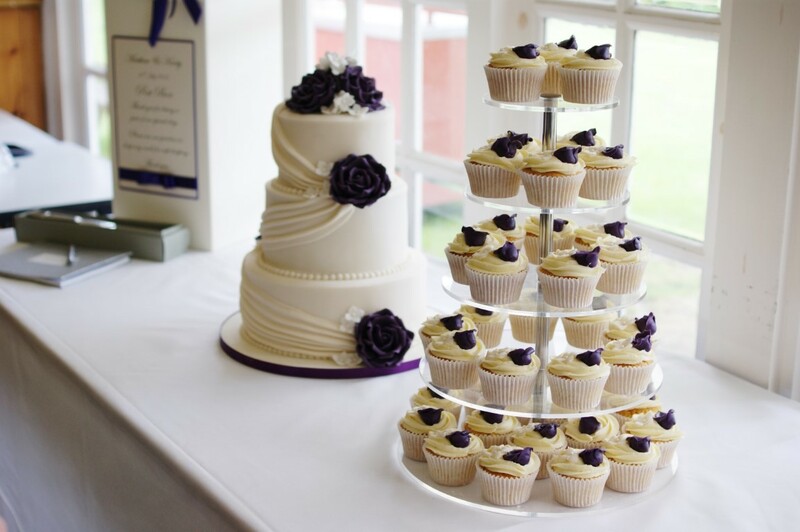 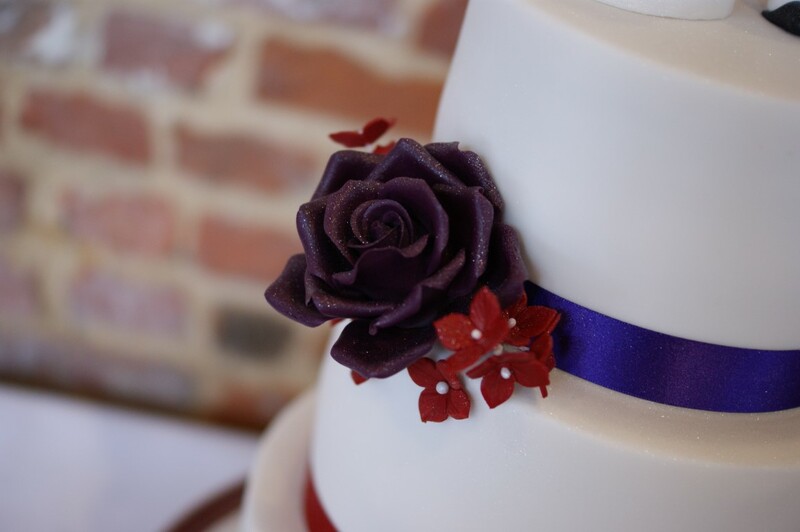 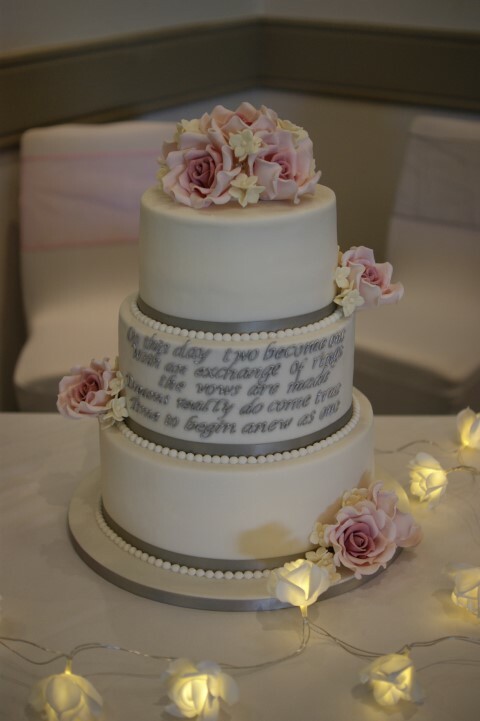 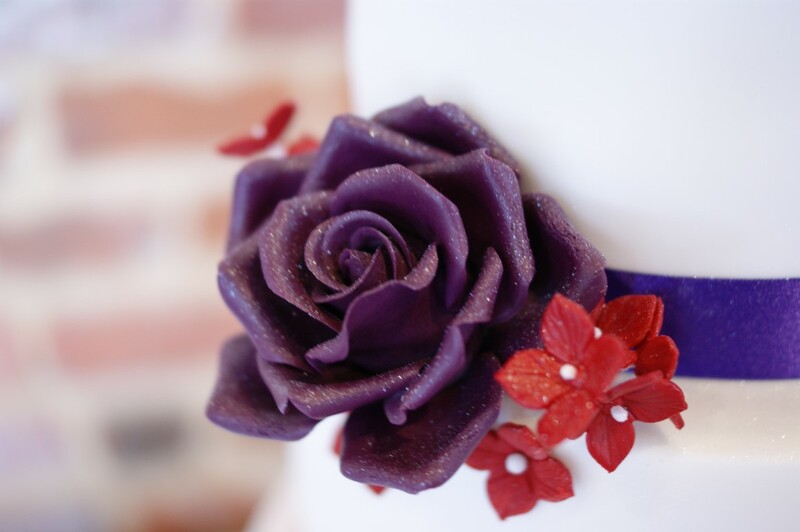 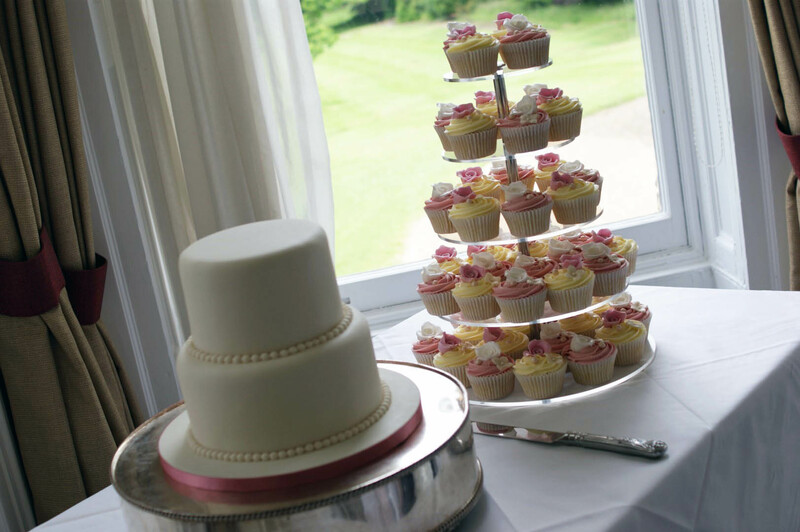 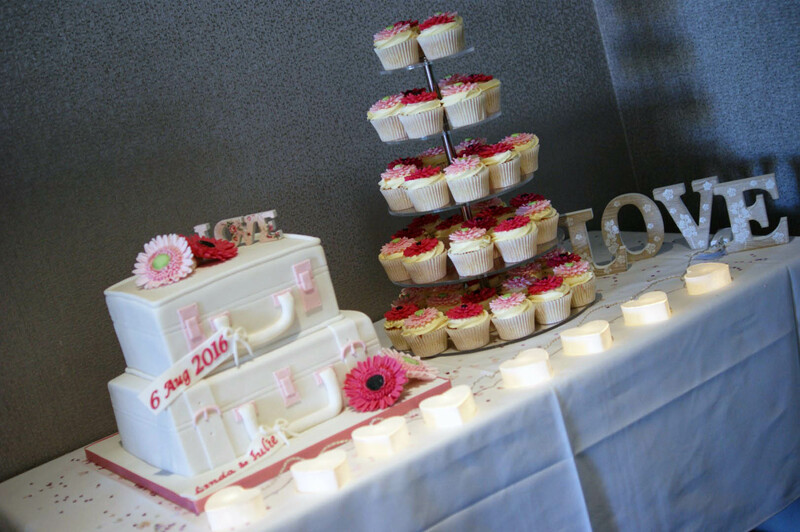 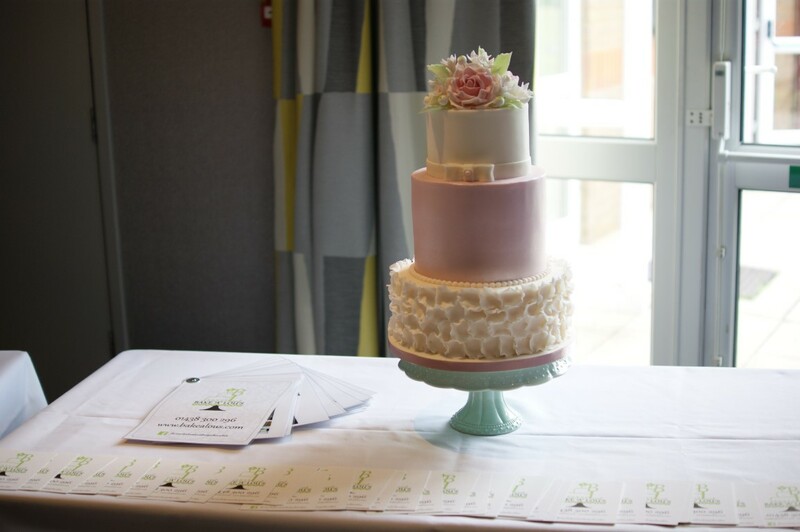 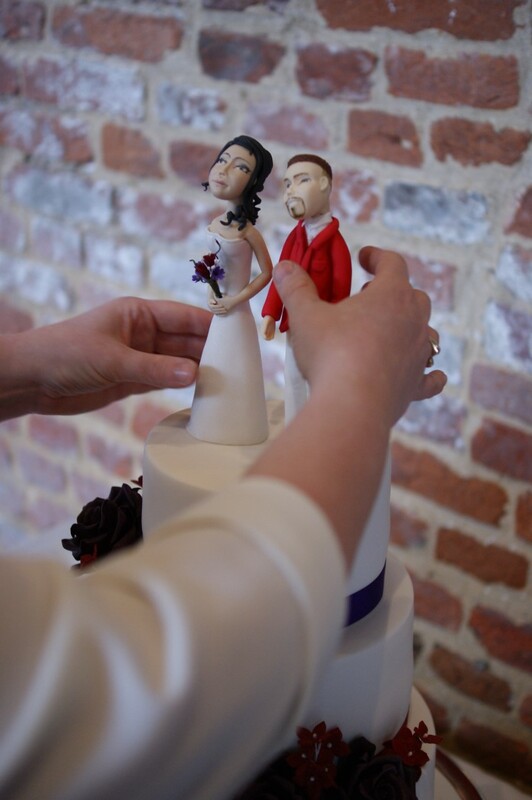 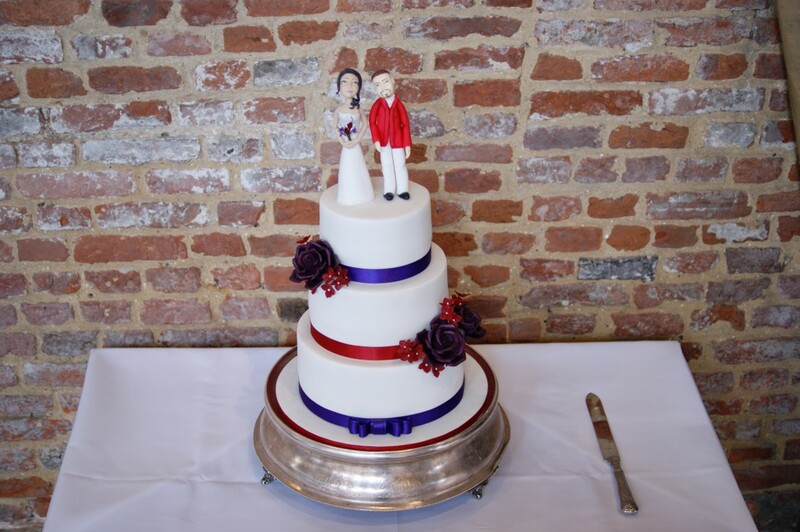 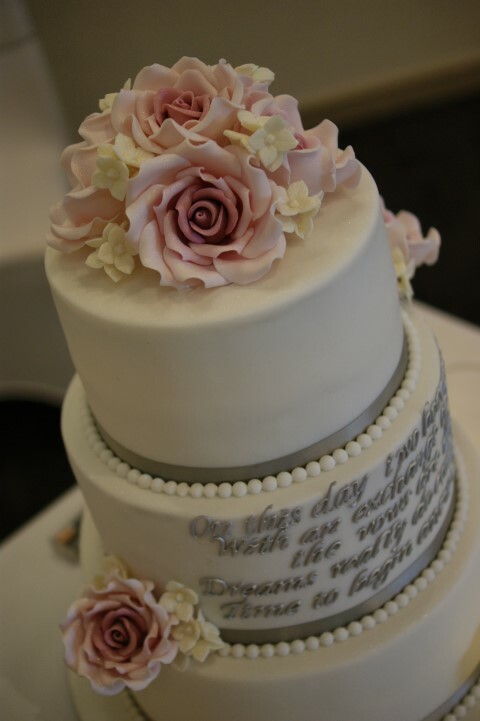 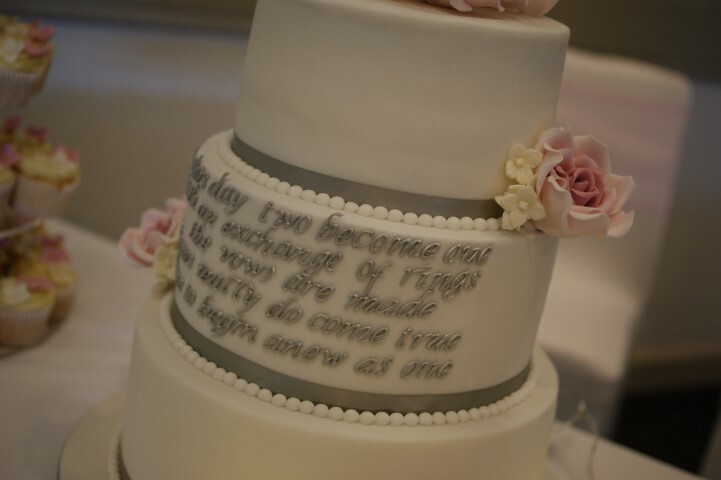 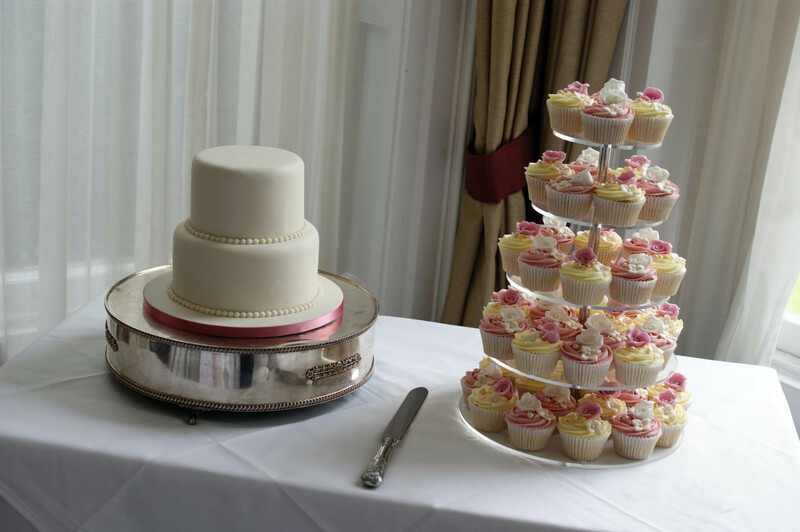 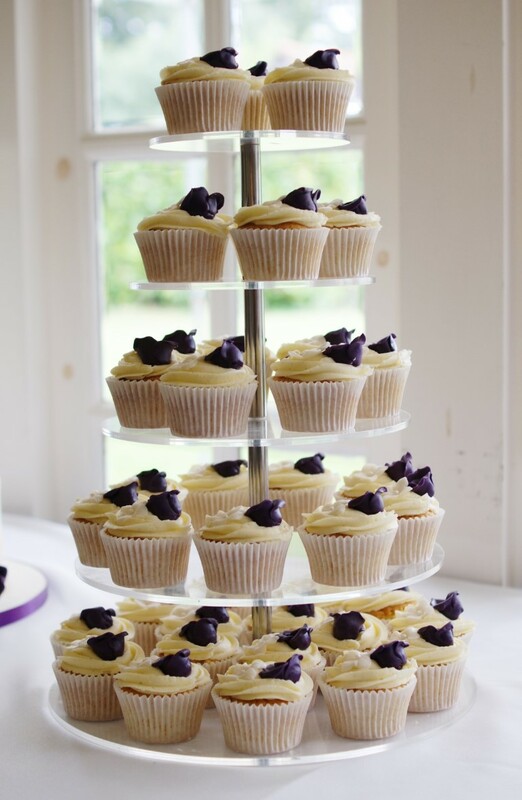 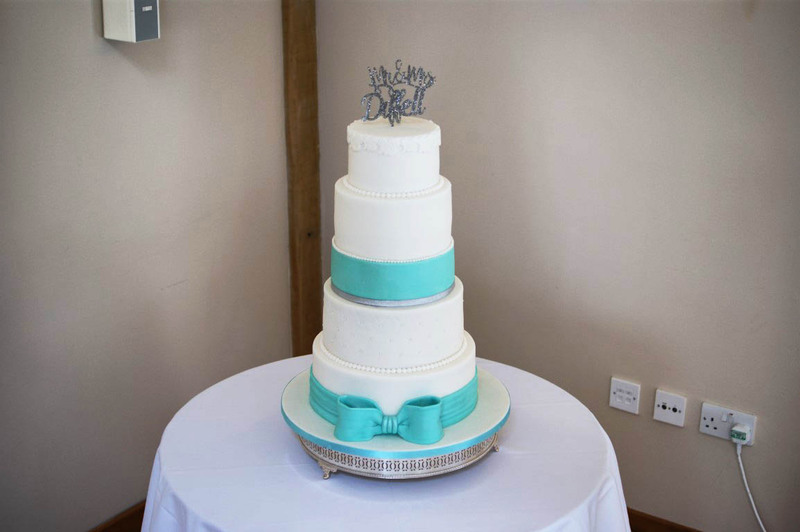 This wedding cake is based on the design of the bride’s wedding dress, coupled with the brides favourite middle tier, this creation is the result! 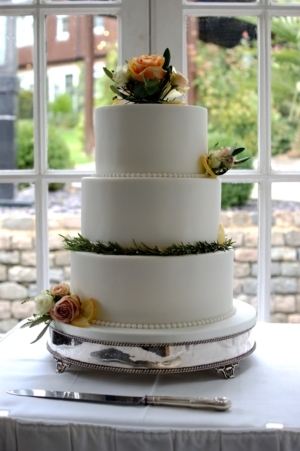 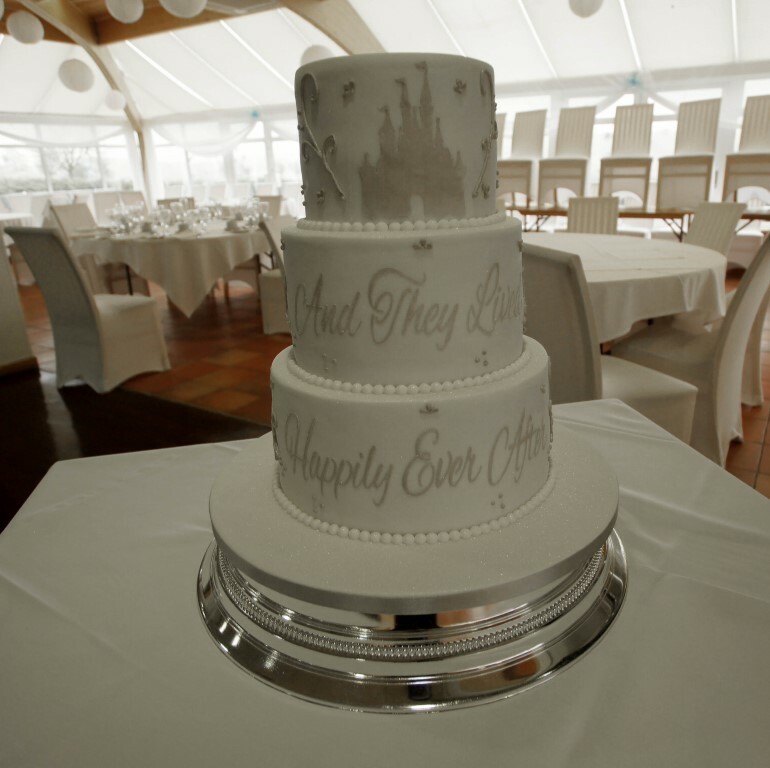 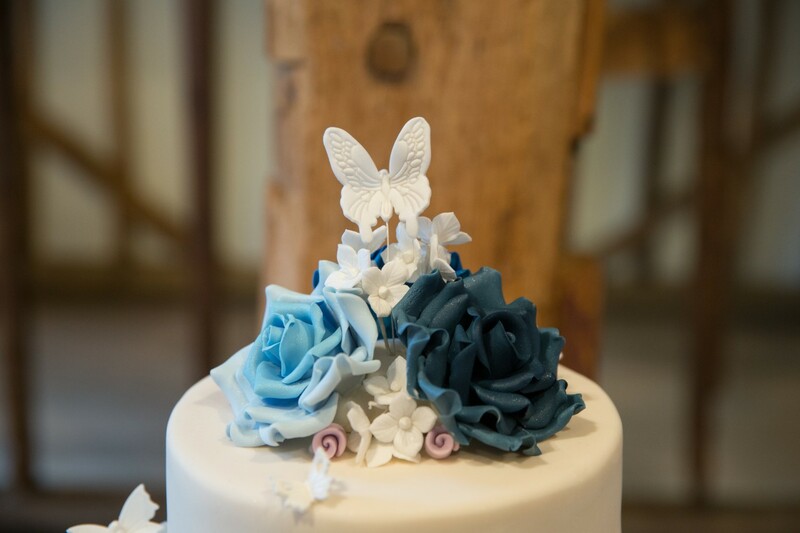 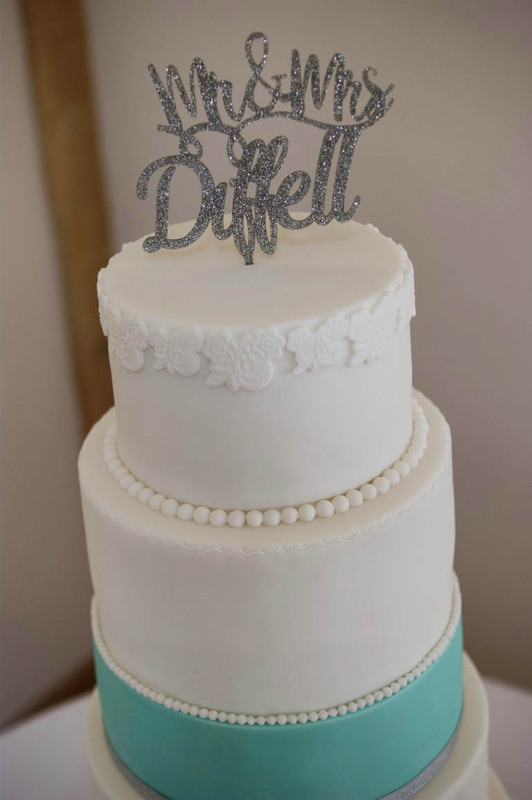 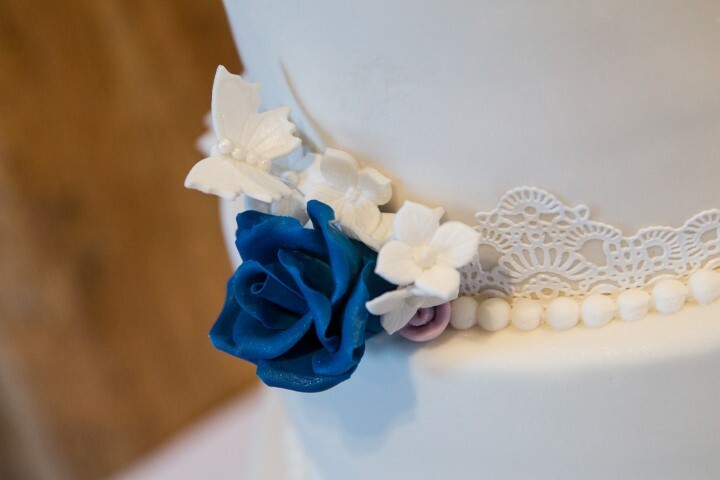 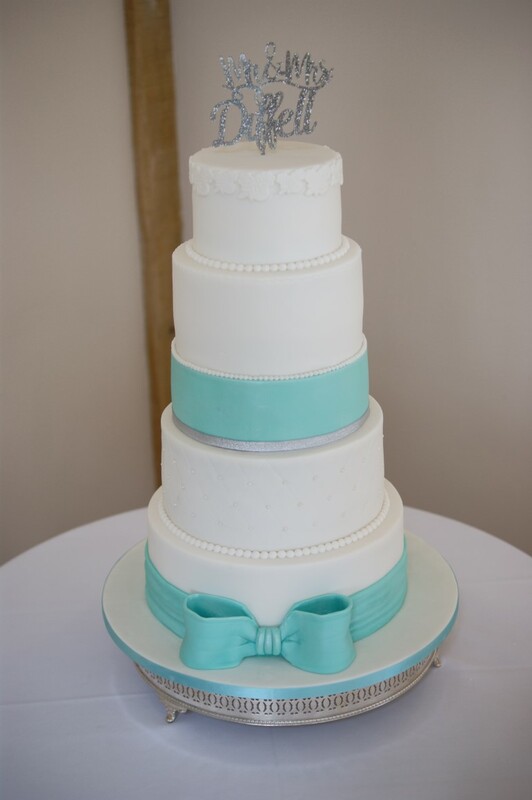 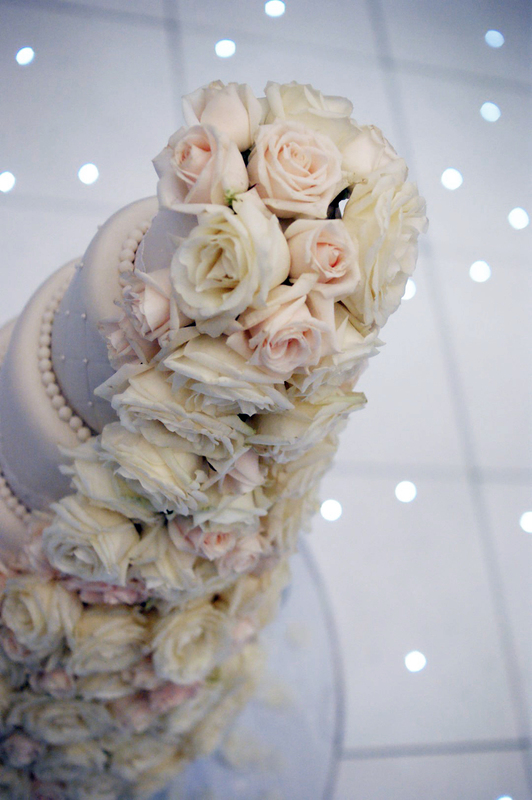 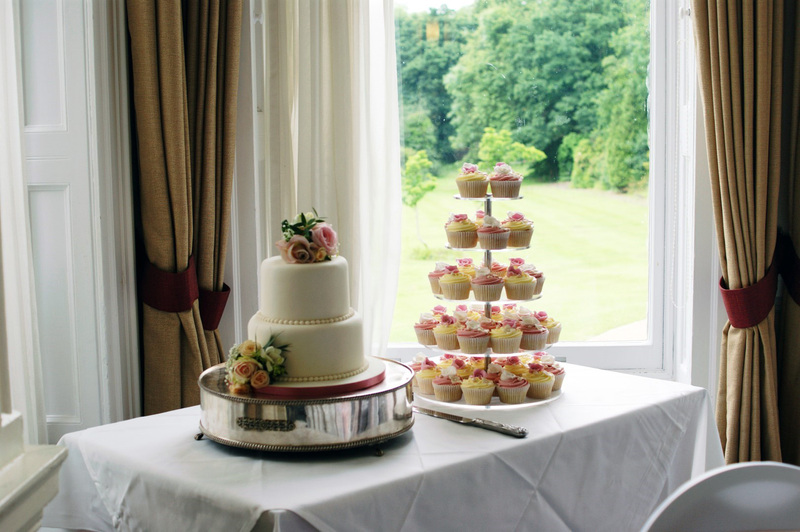 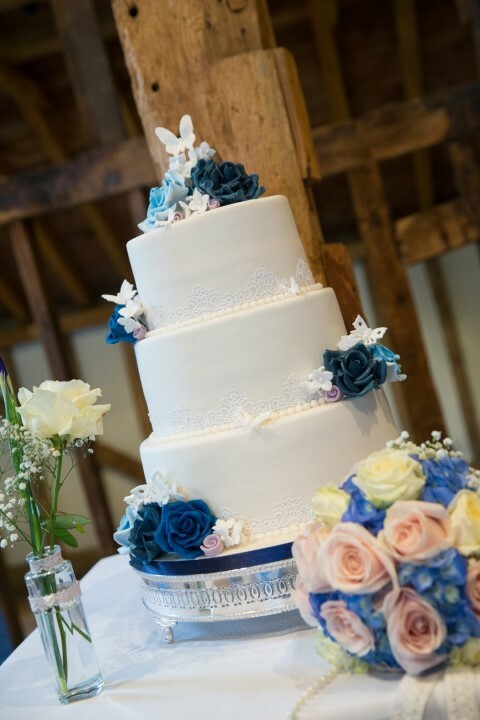 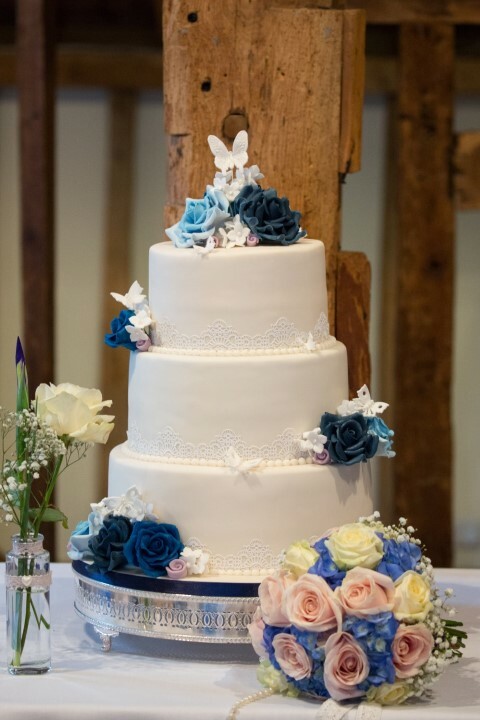 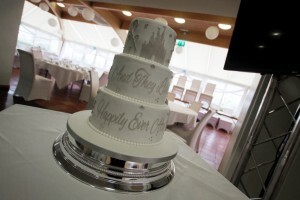 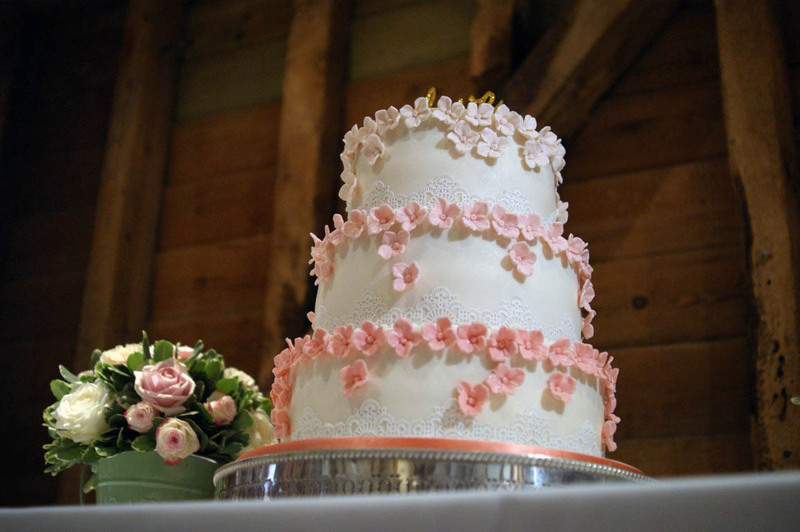 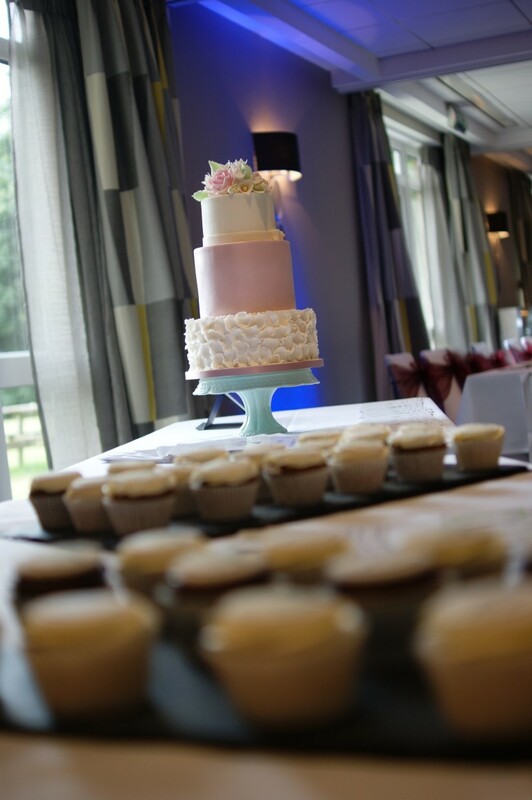 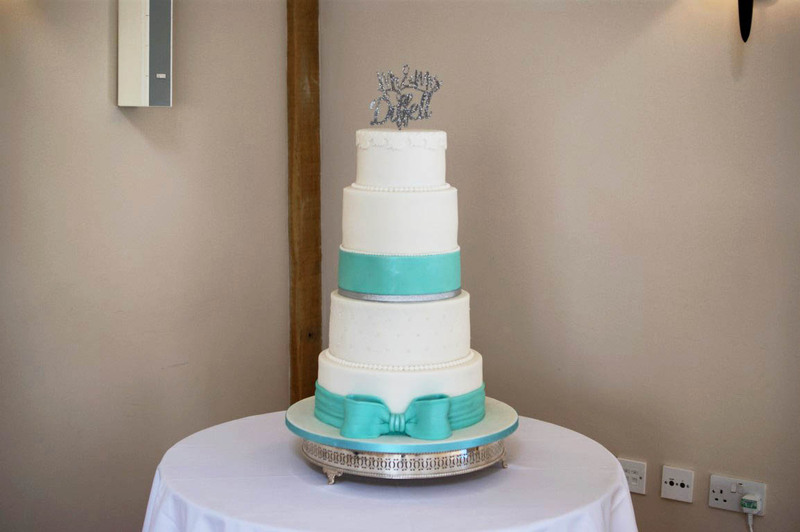 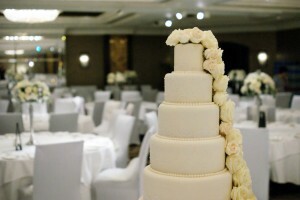 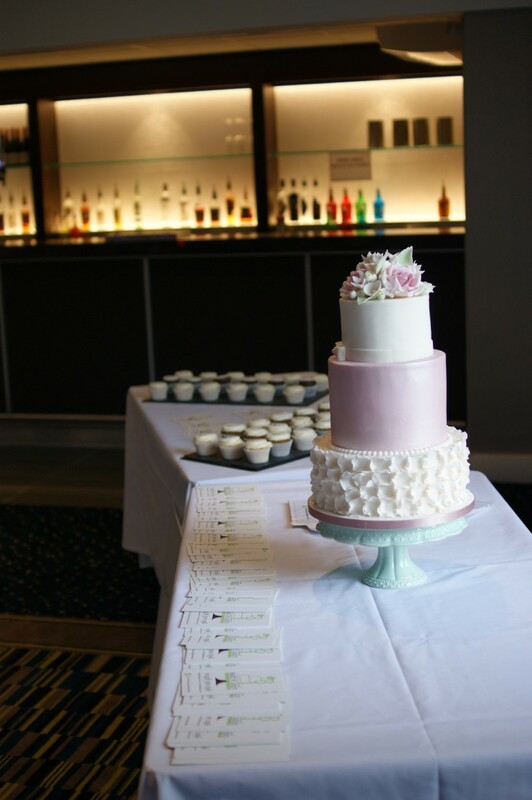 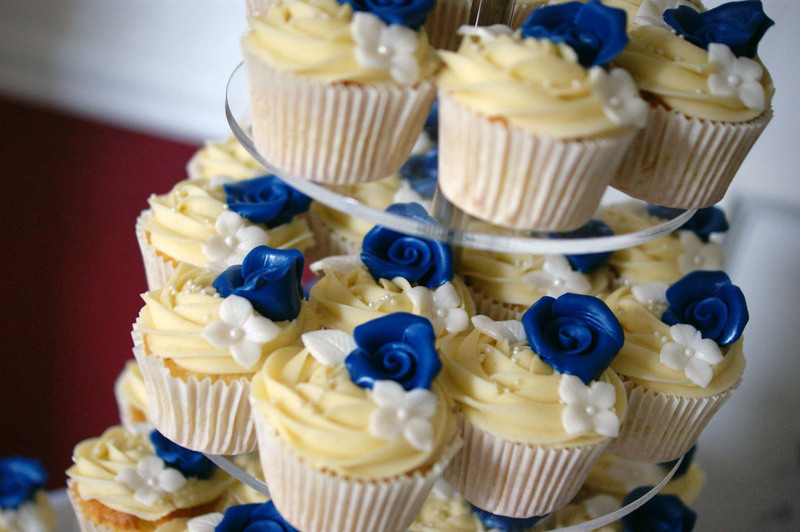 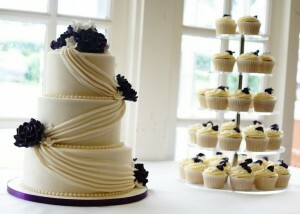 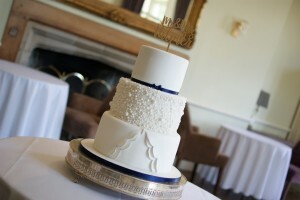 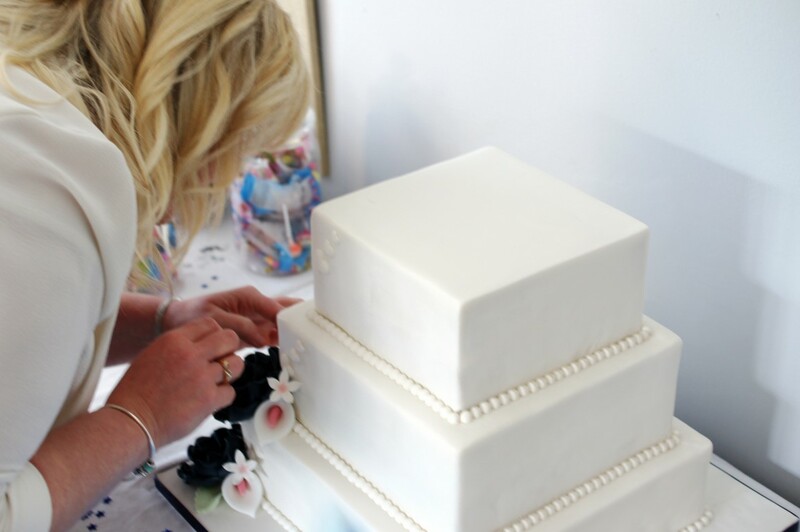 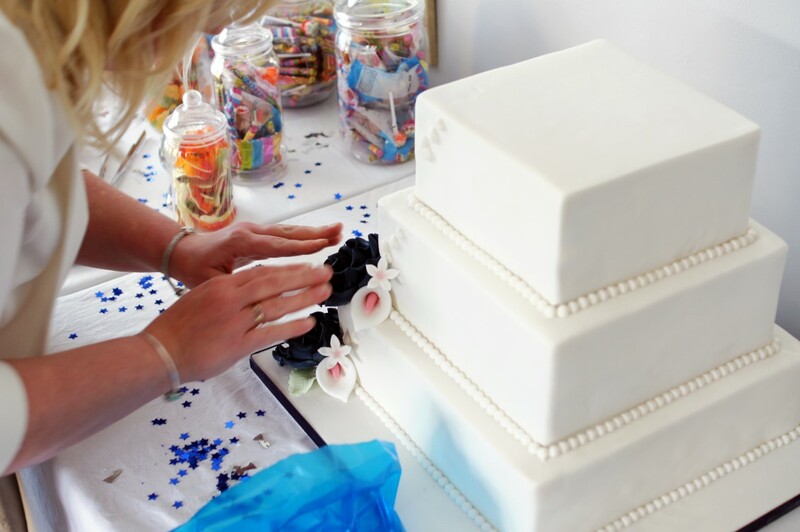 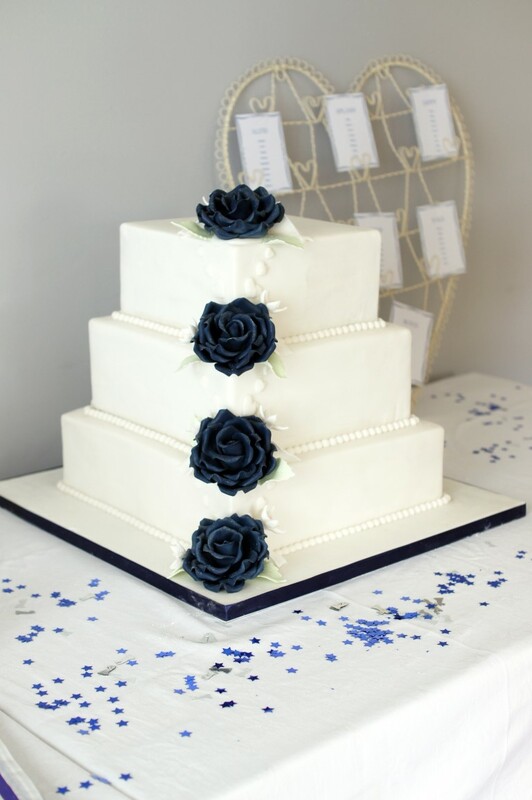 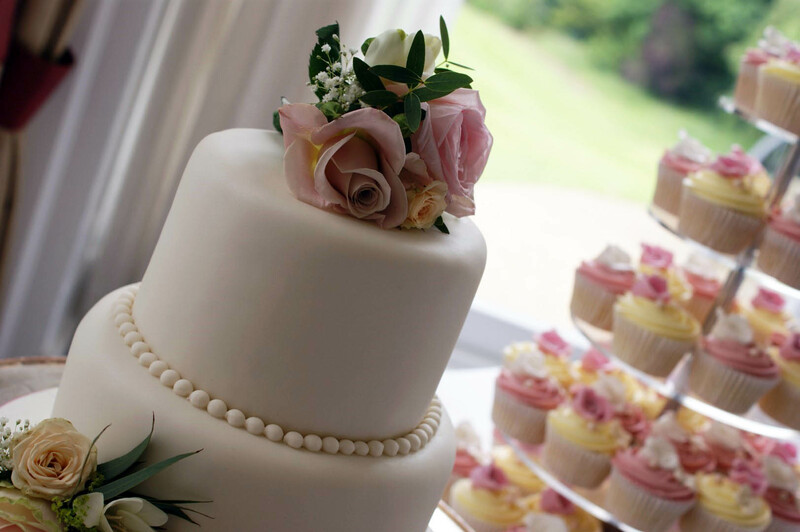 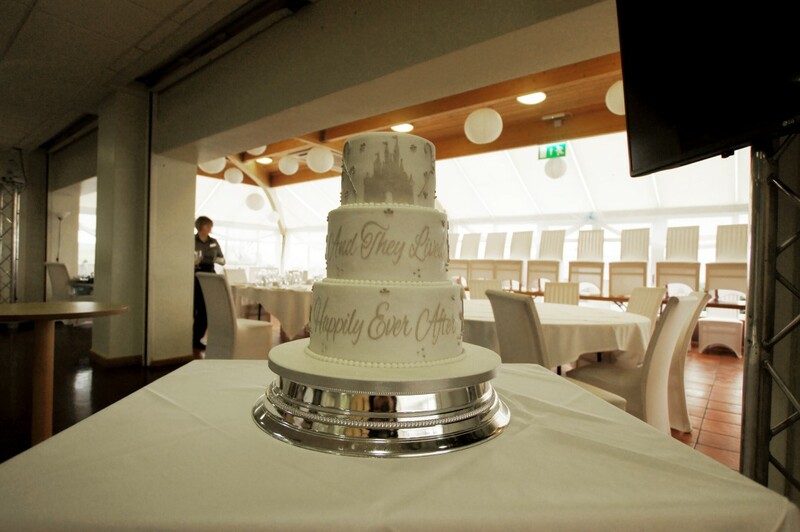 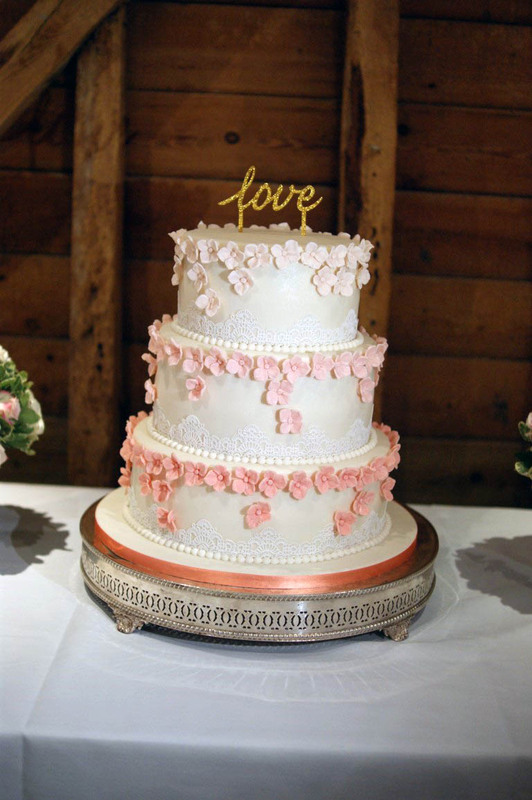 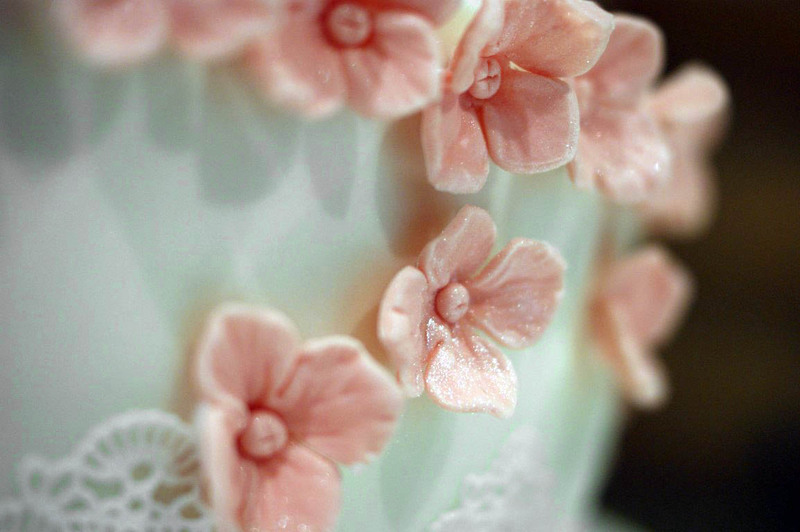 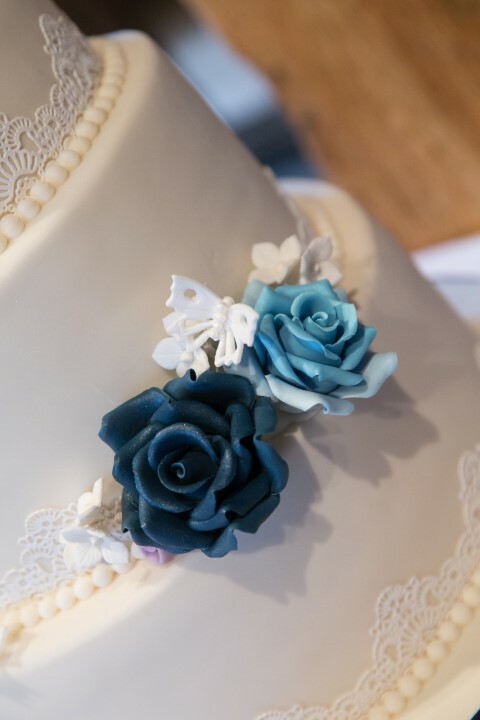 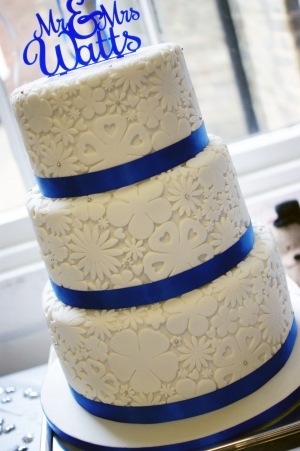 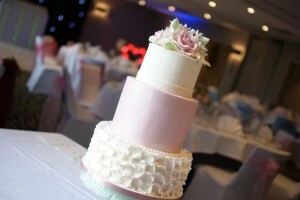 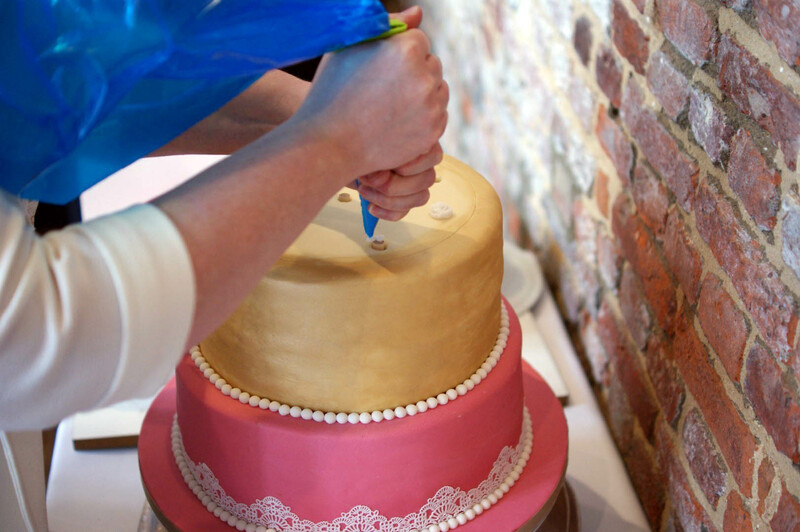 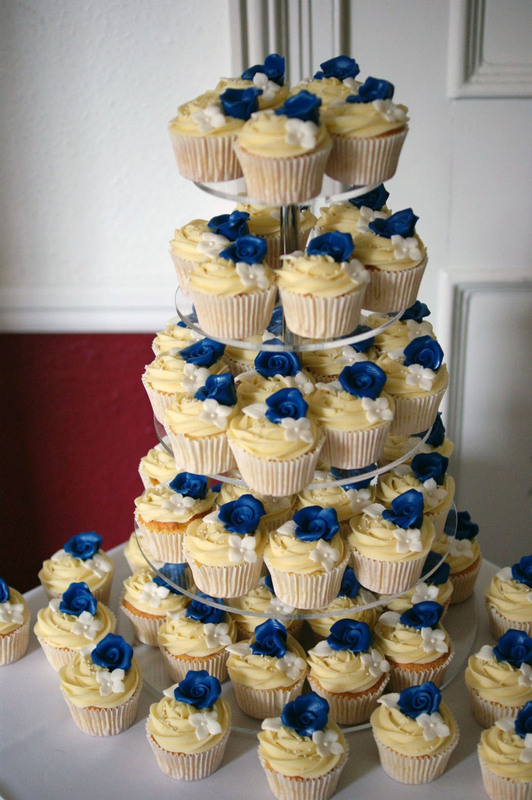 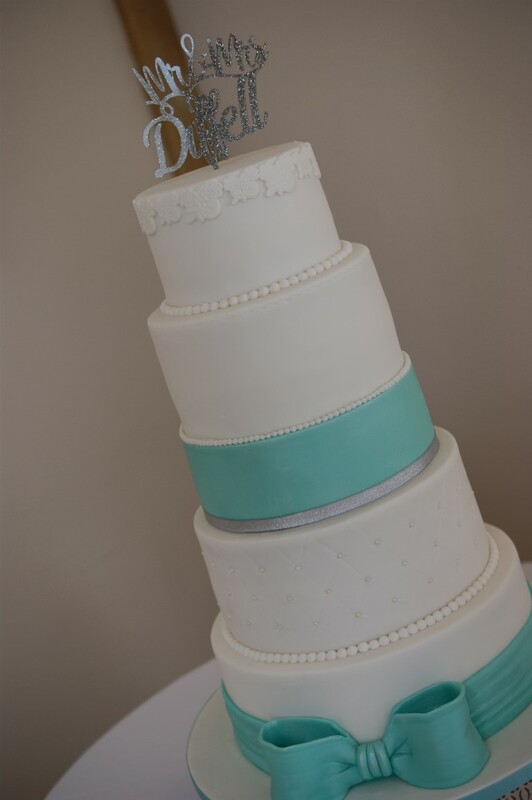 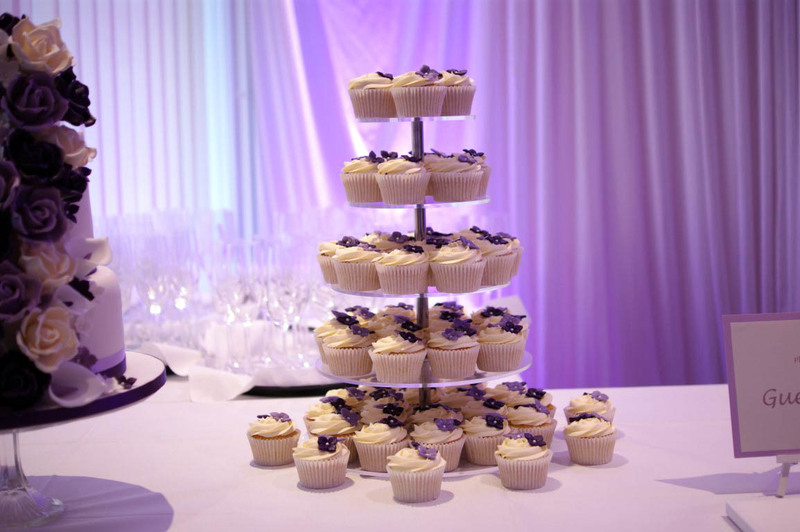 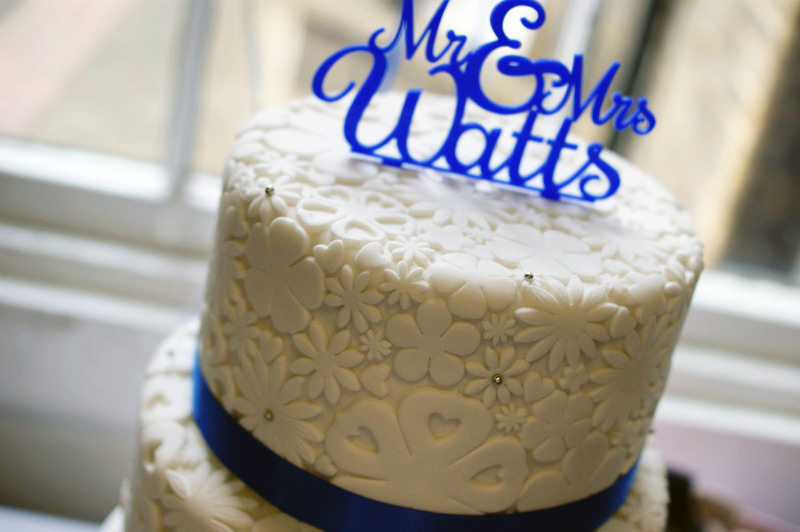 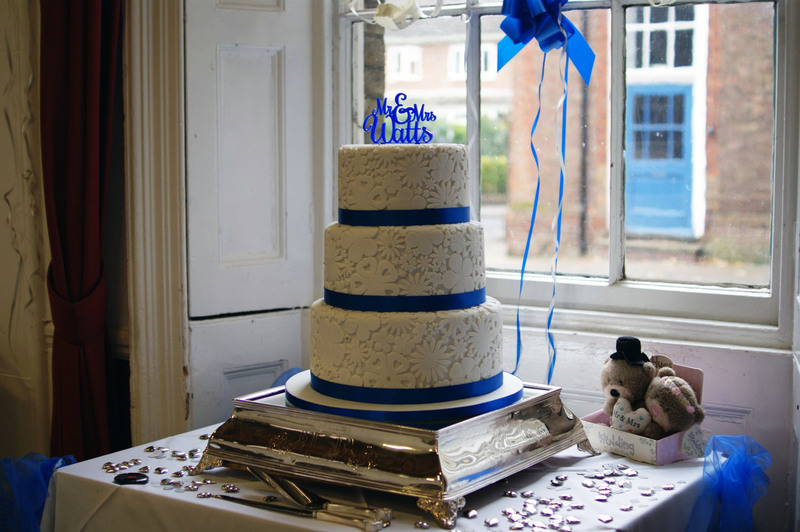 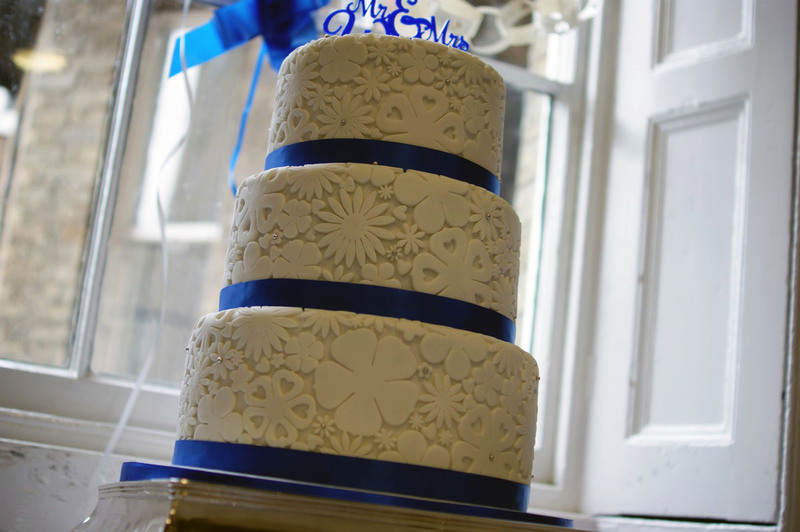 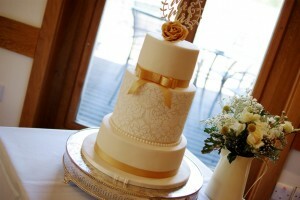 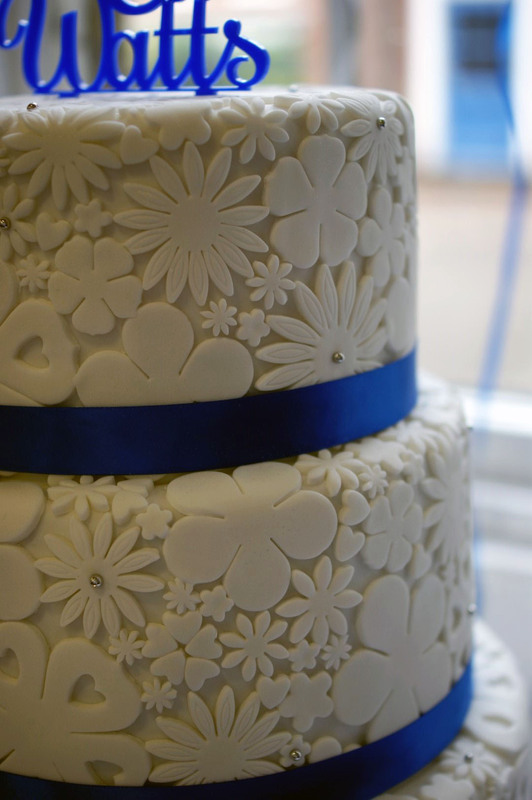 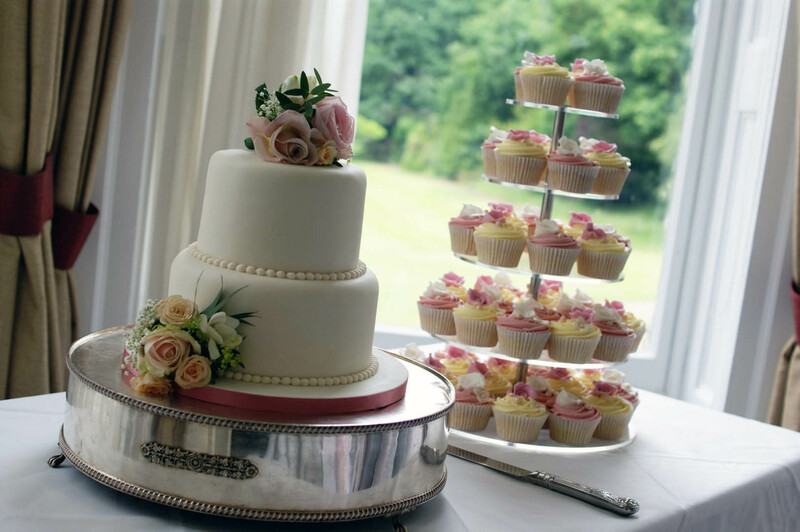 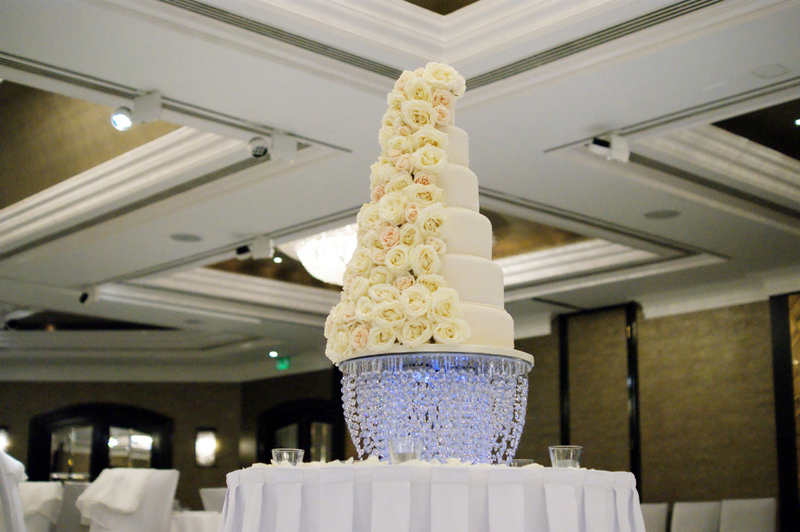 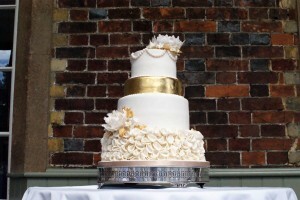 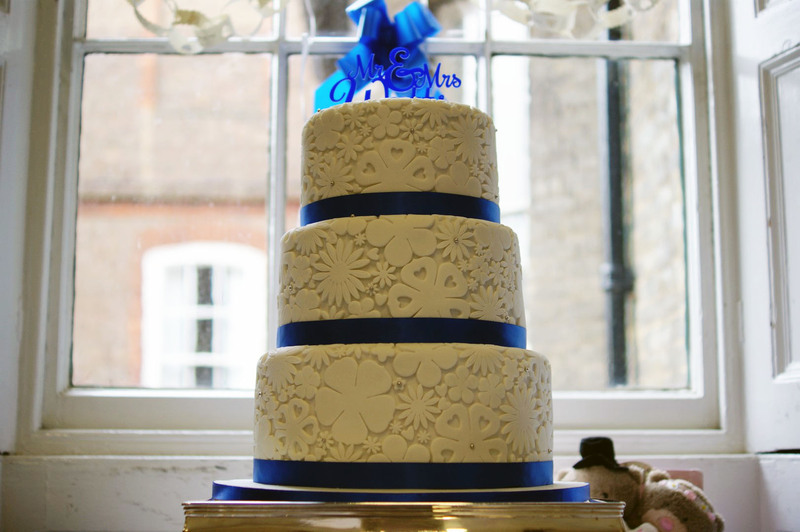 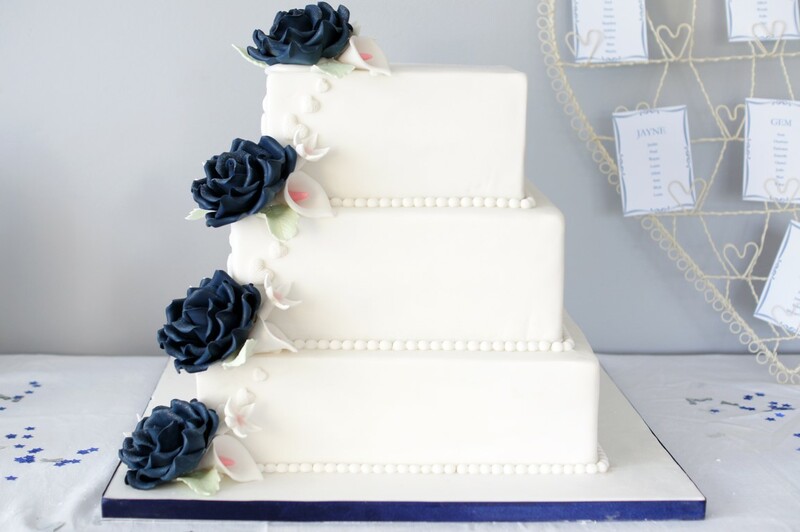 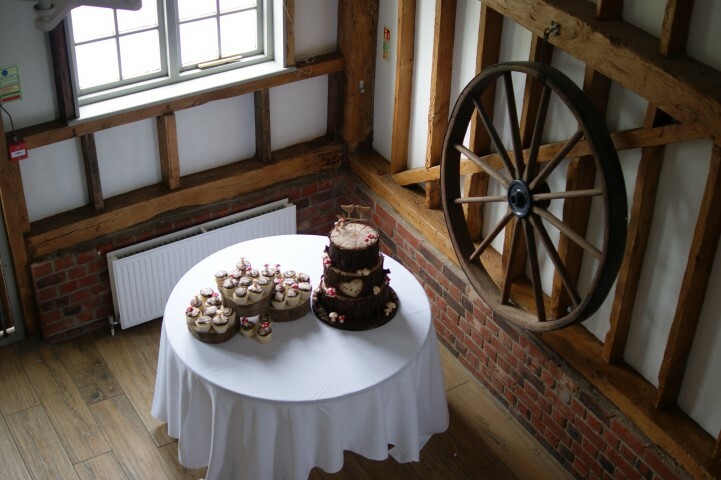 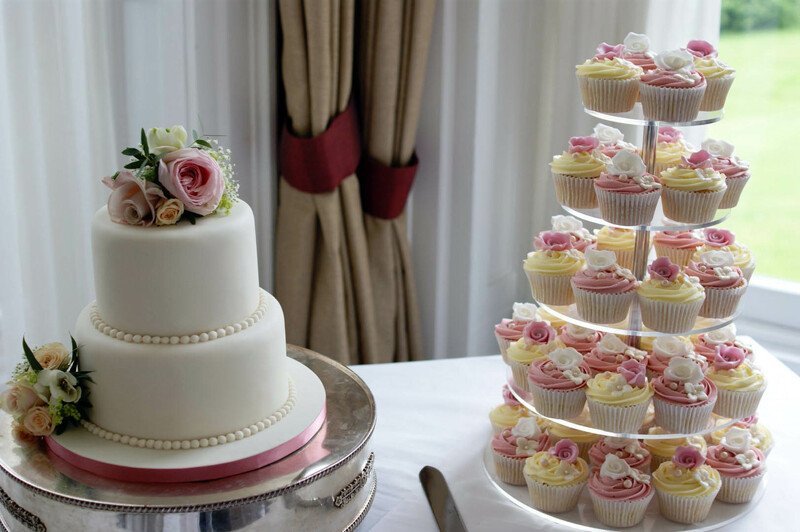 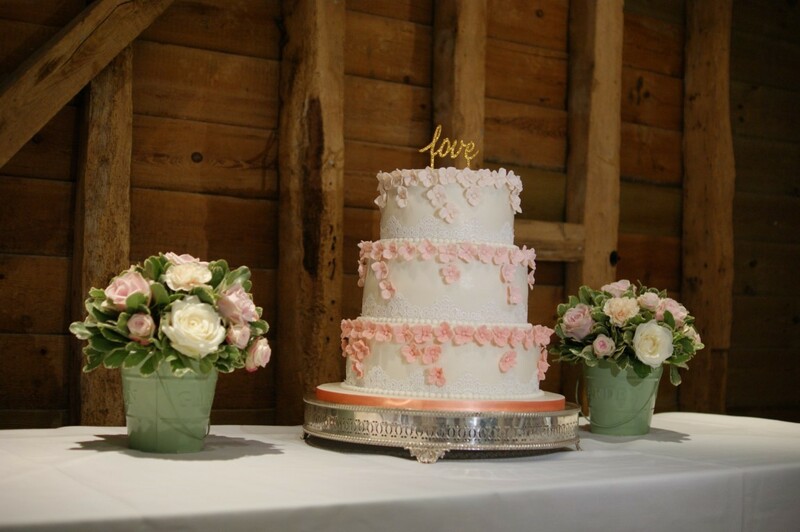 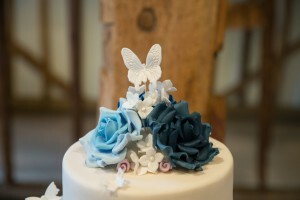 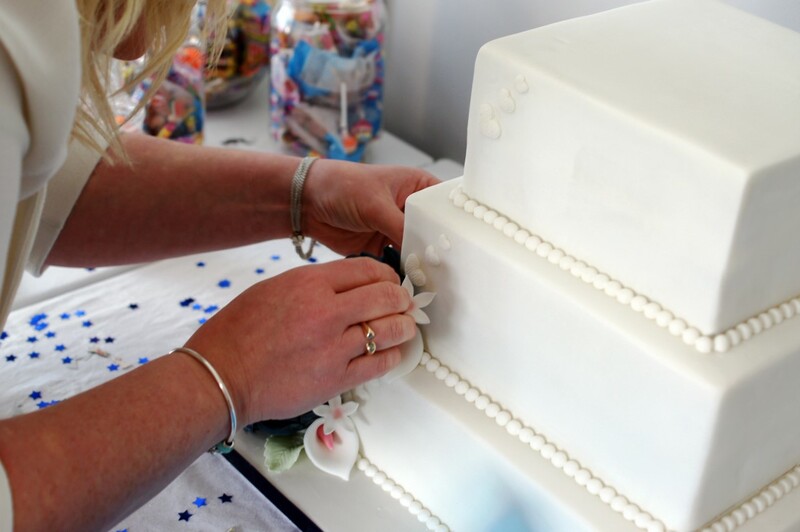 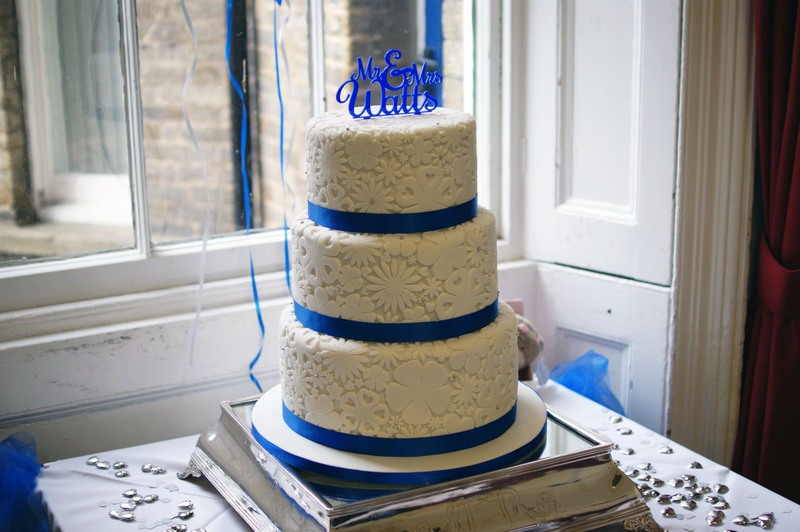 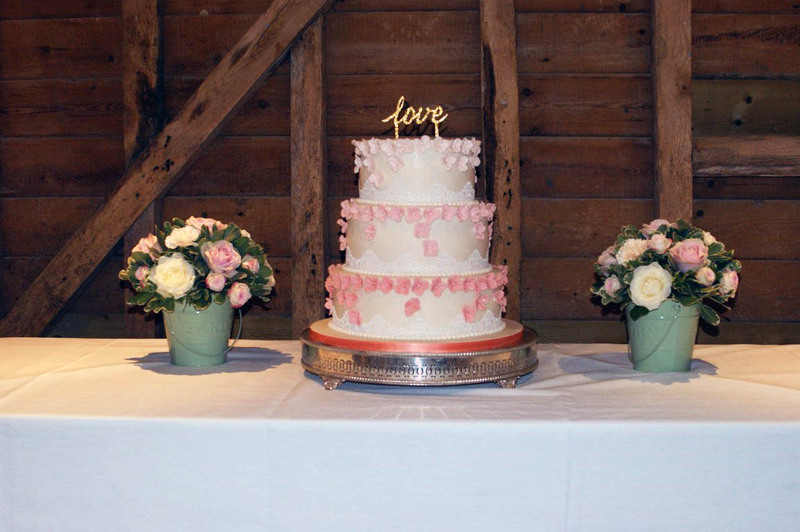 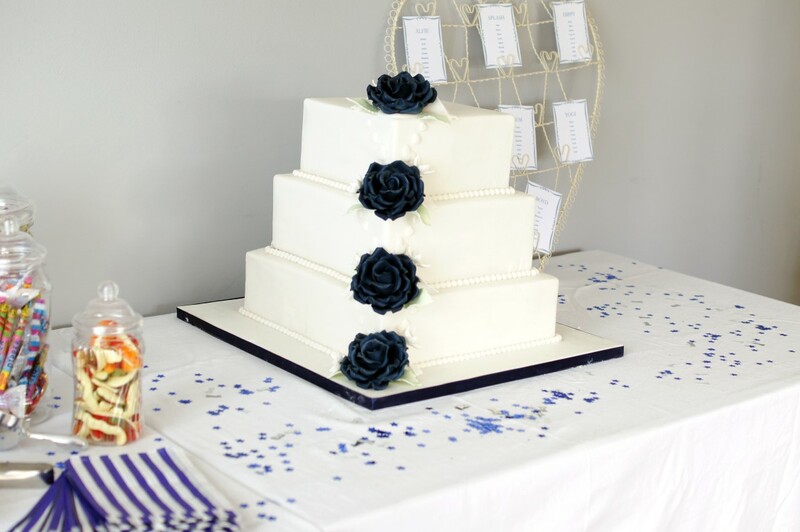 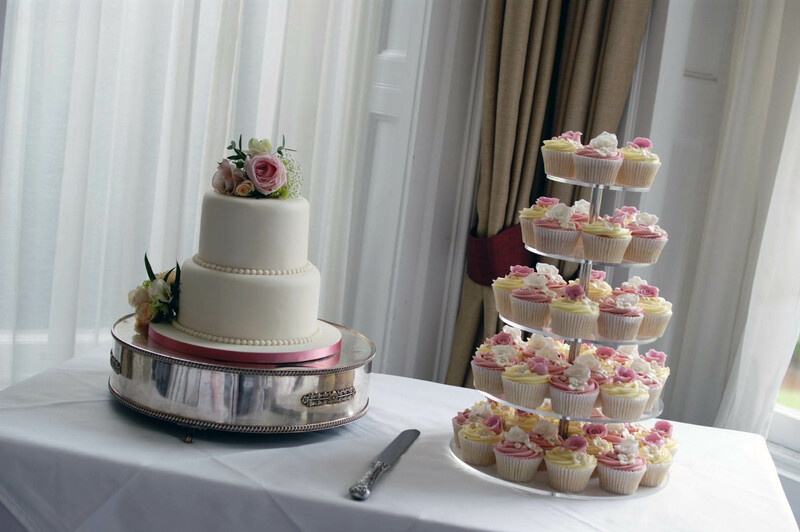 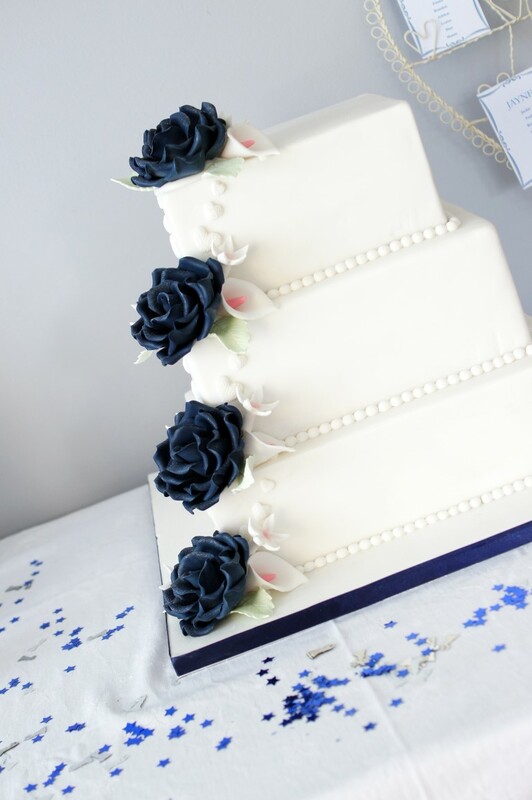 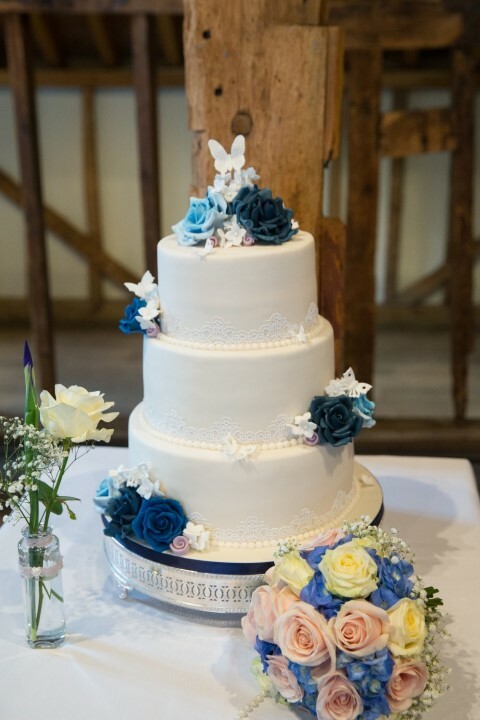 This 5 tier Wedding cake features a handmade bow in Tiffany blue and white colour scheme. 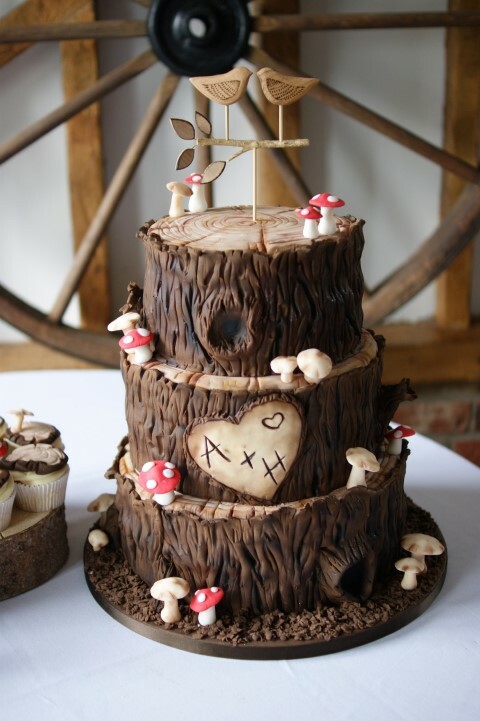 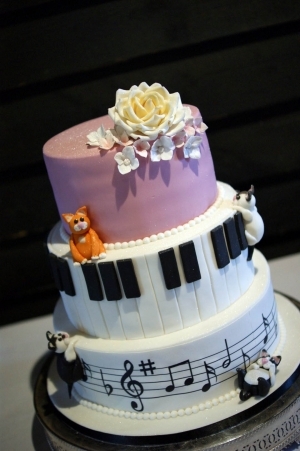 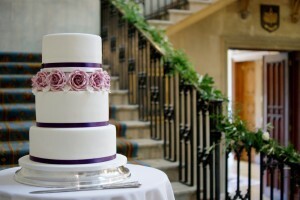 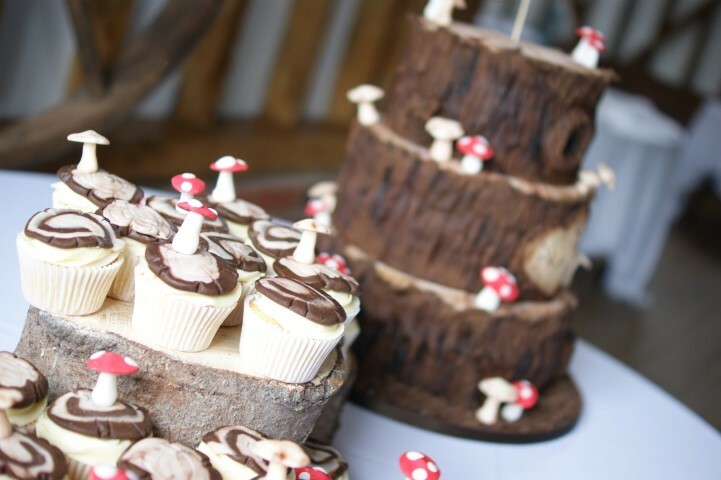 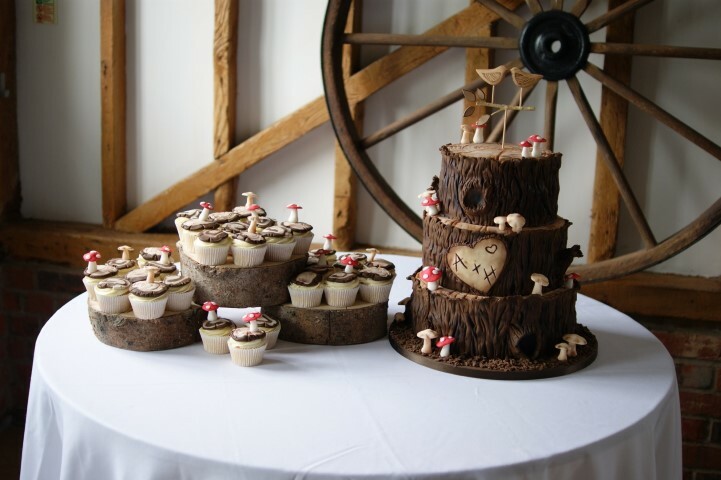 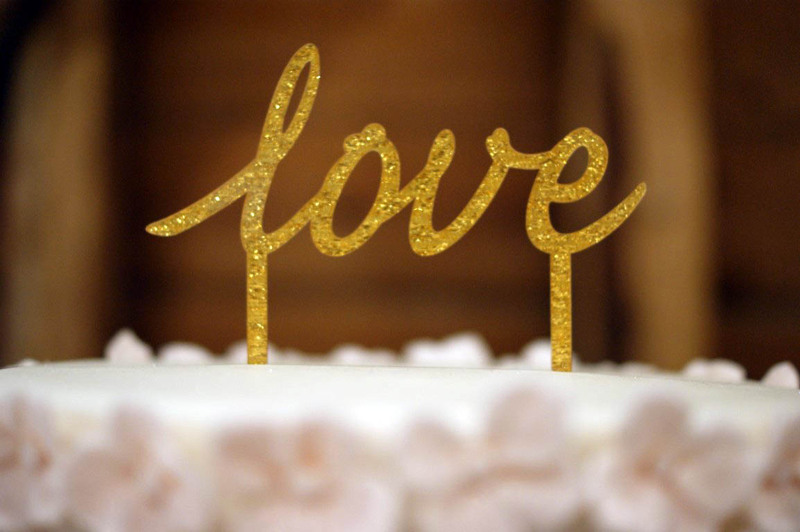 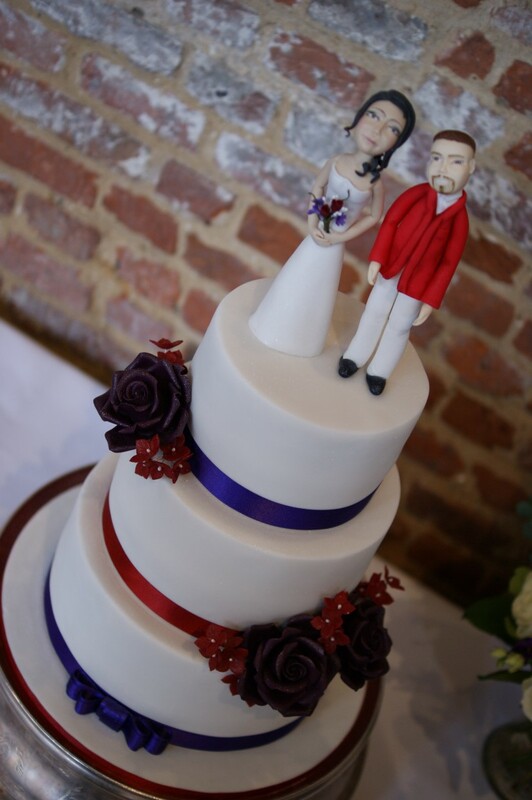 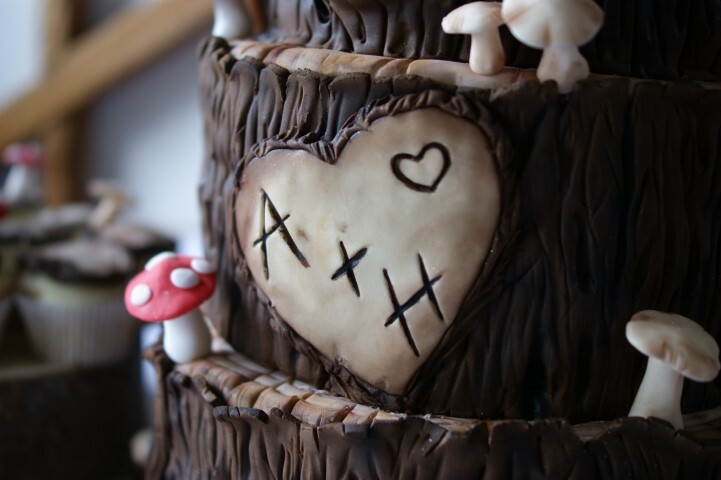 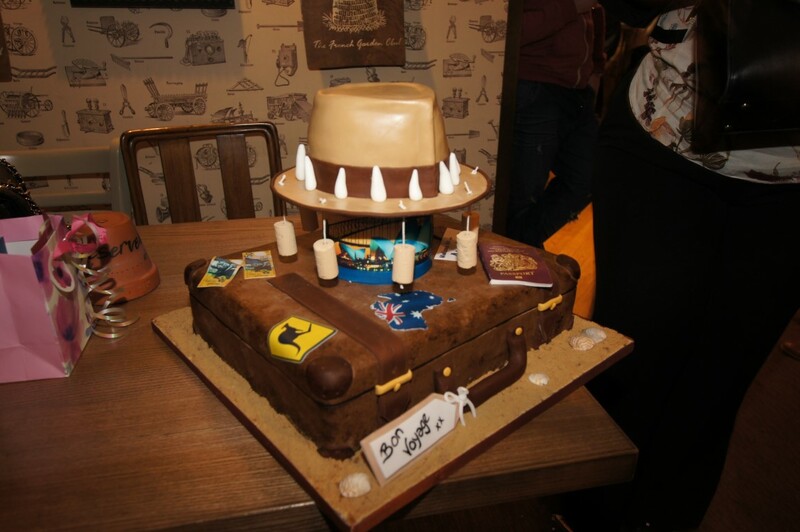 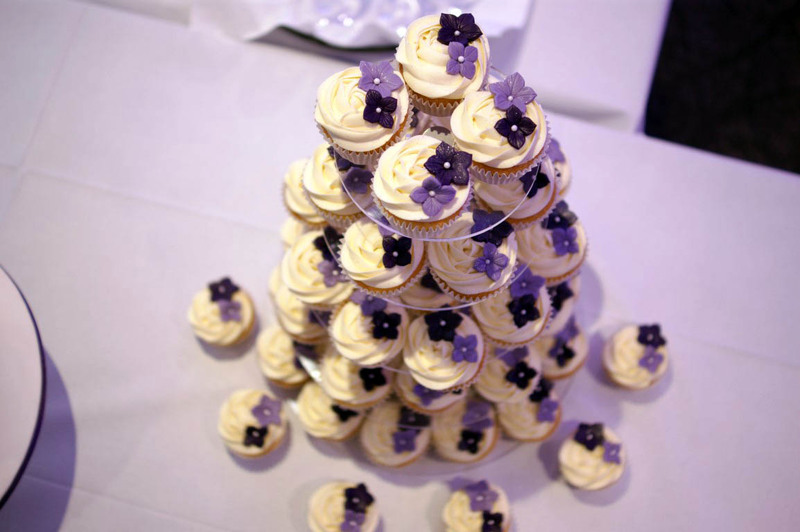 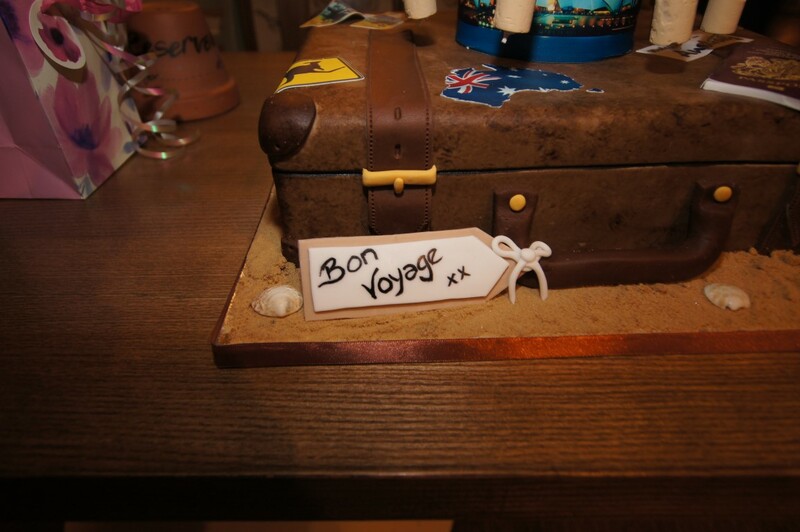 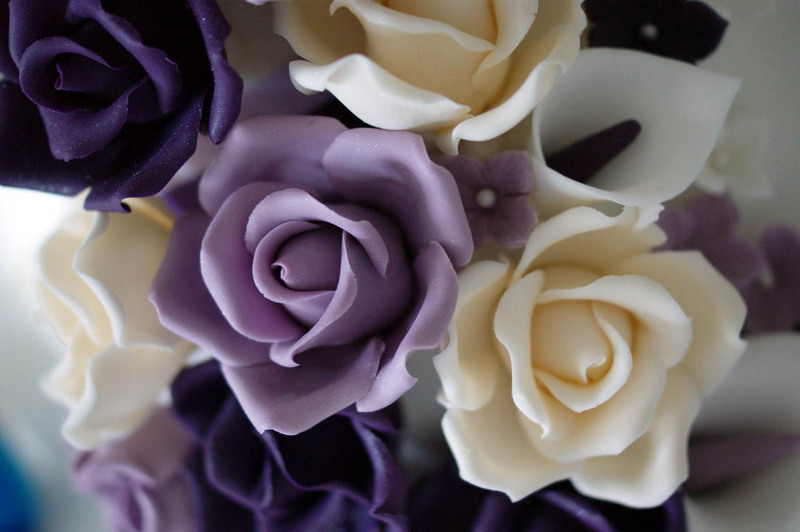 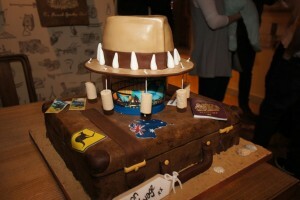 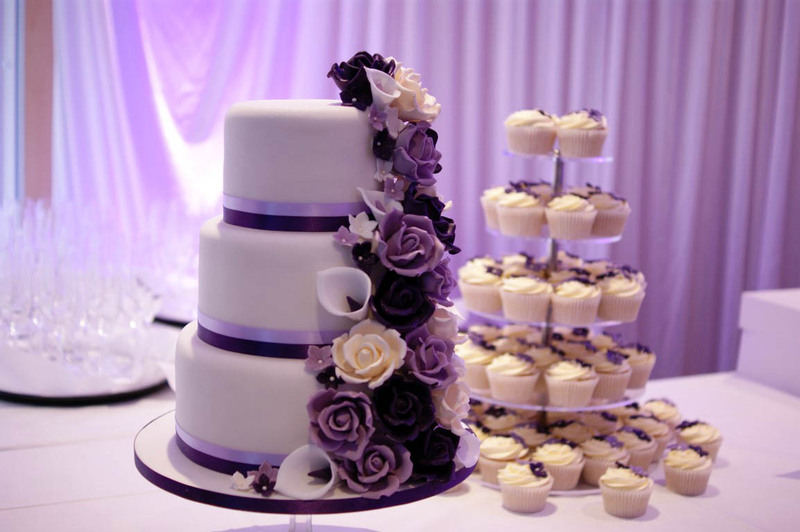 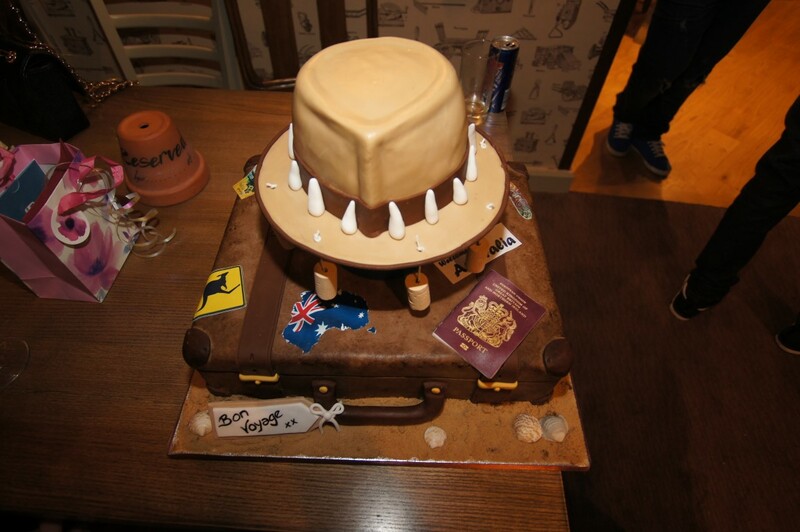 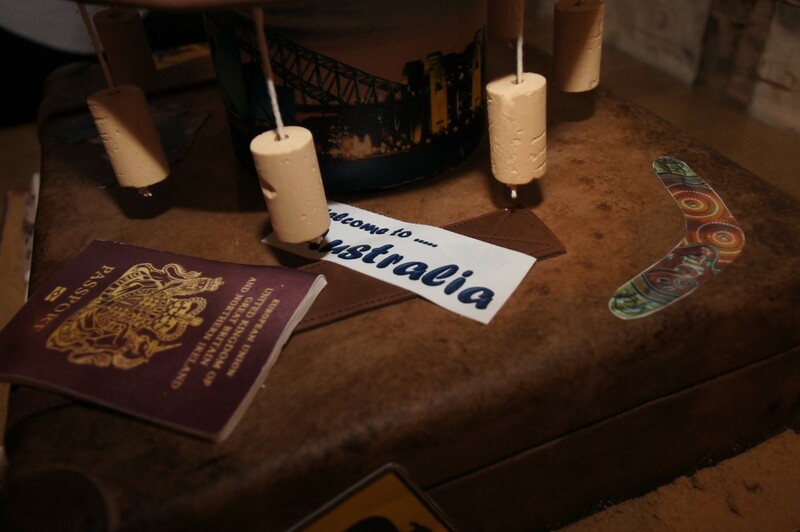 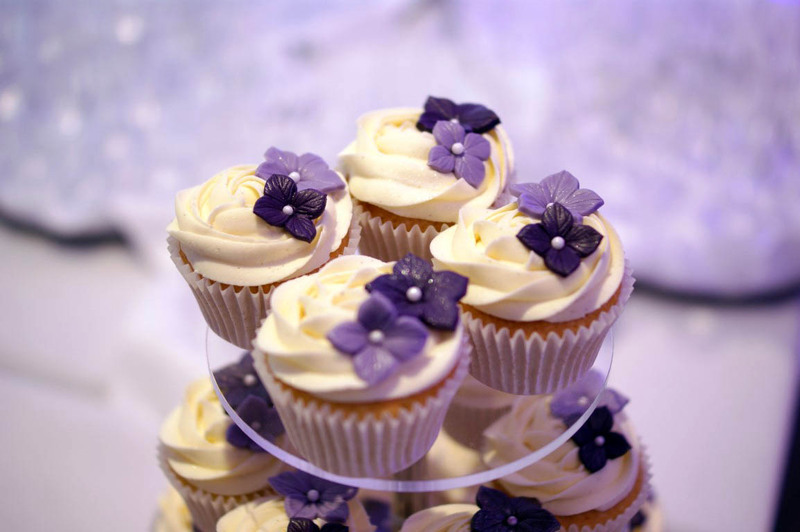 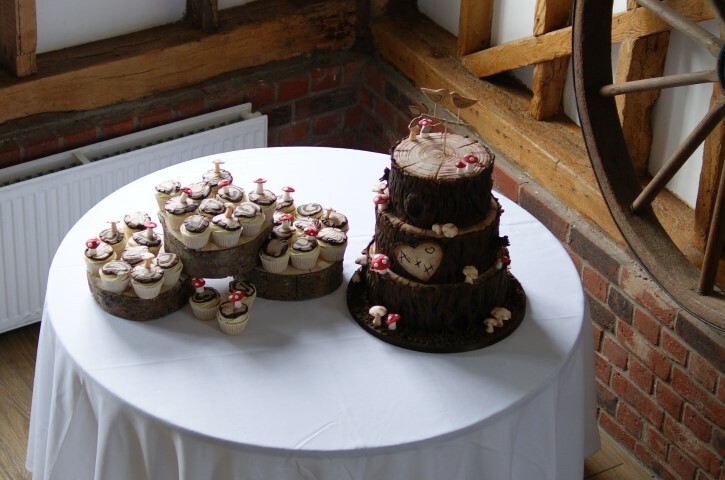 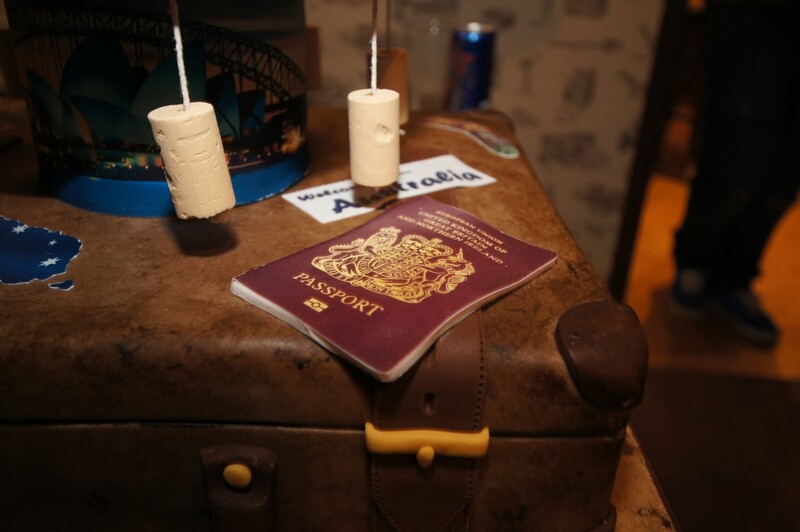 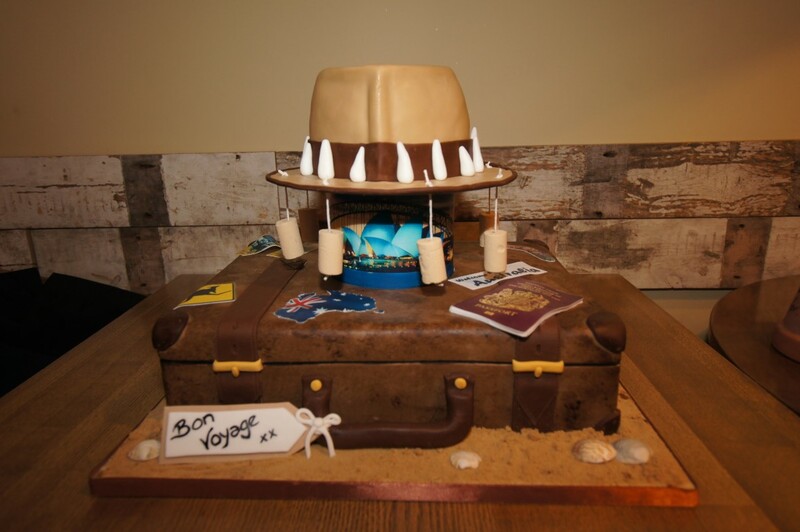 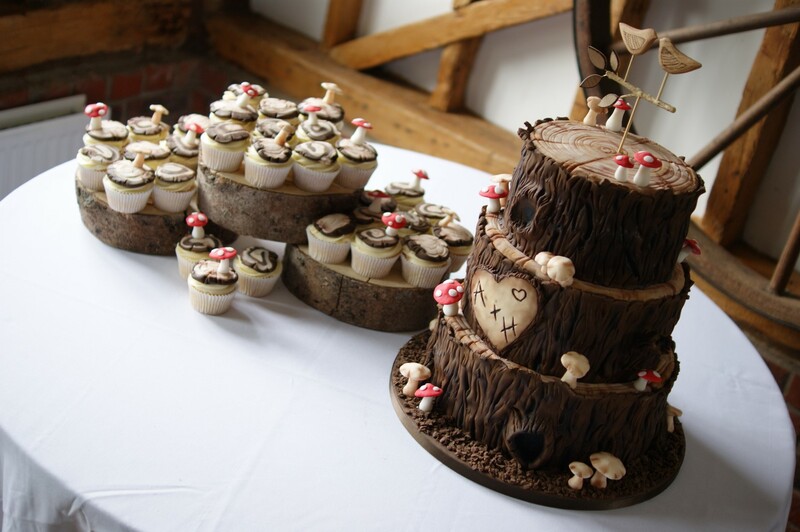 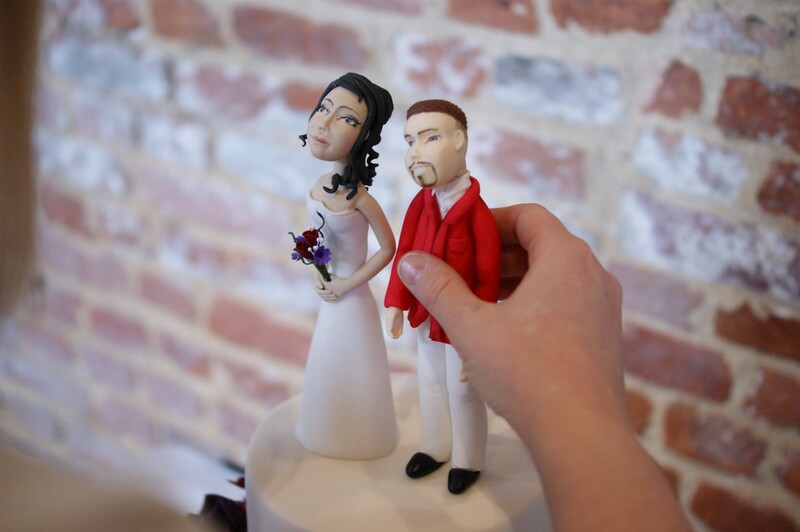 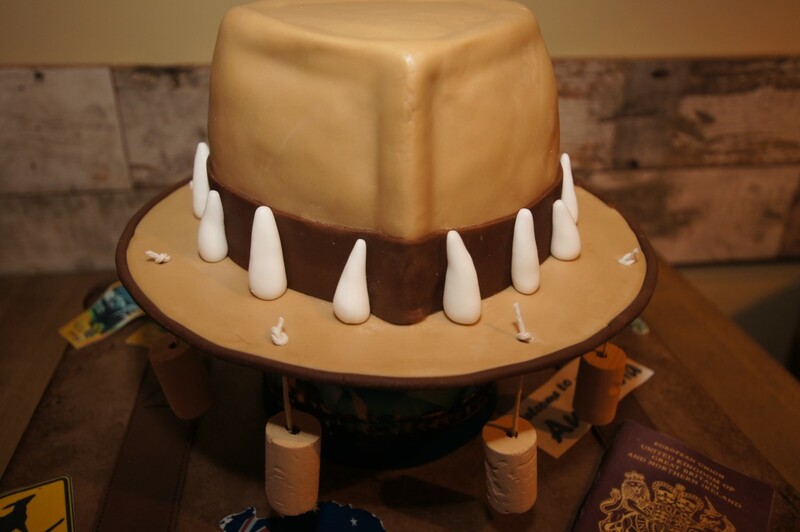 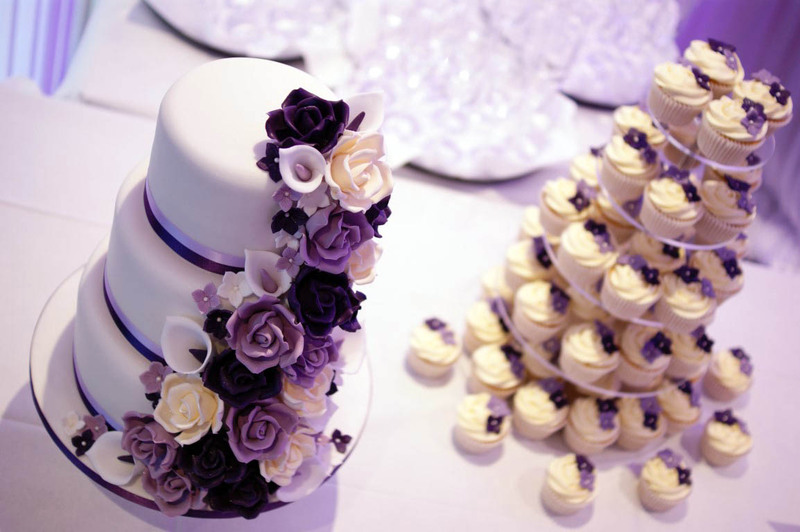 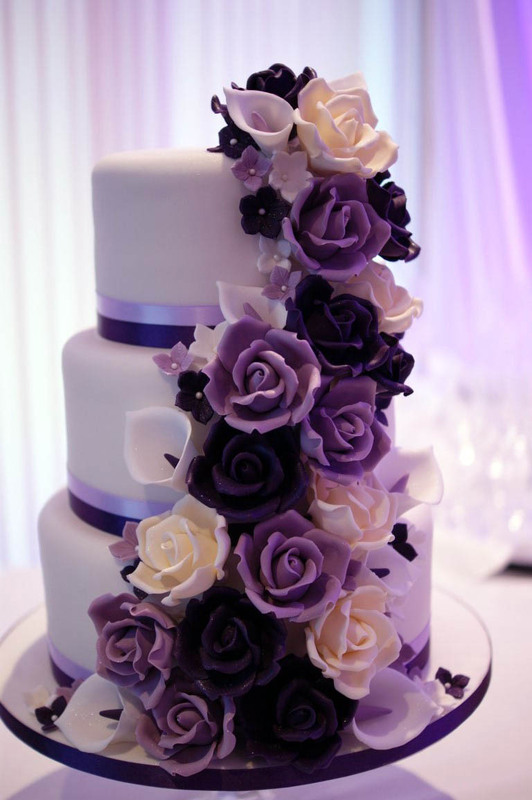 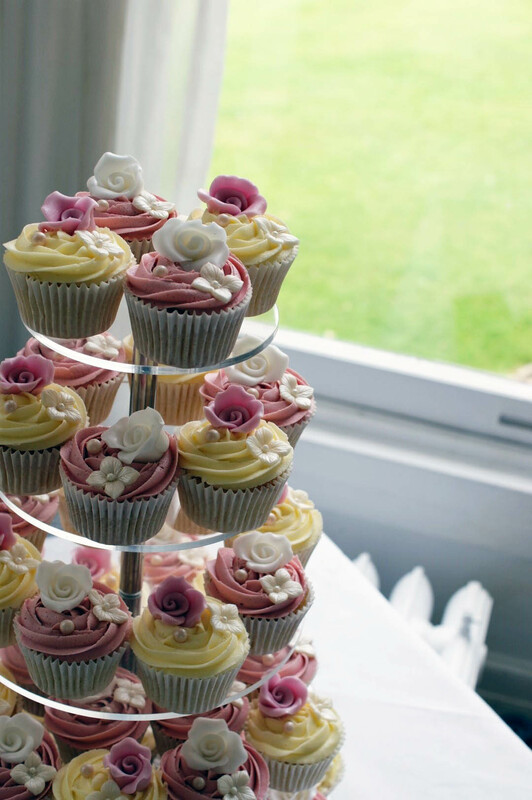 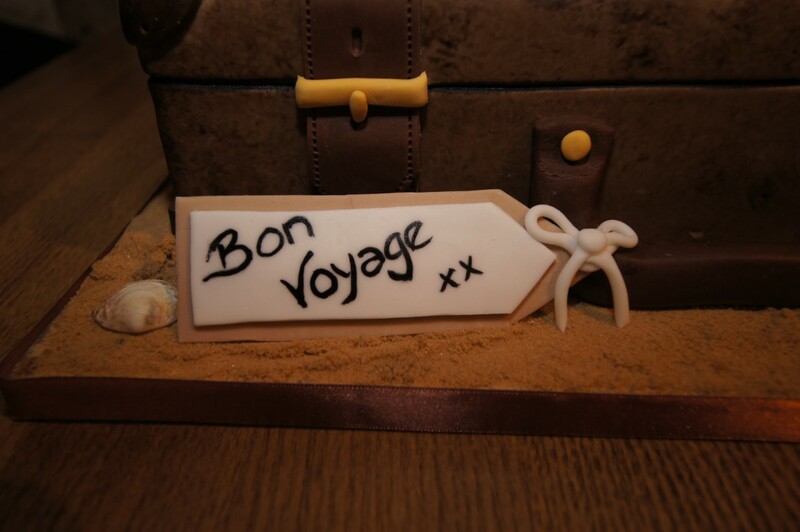 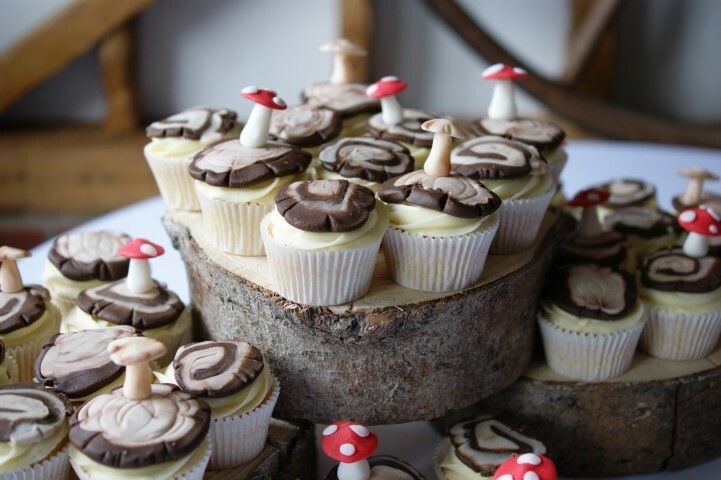 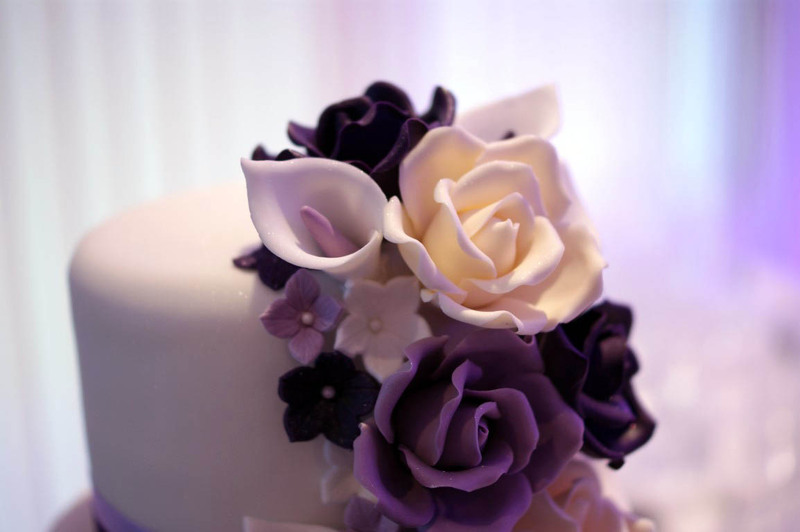 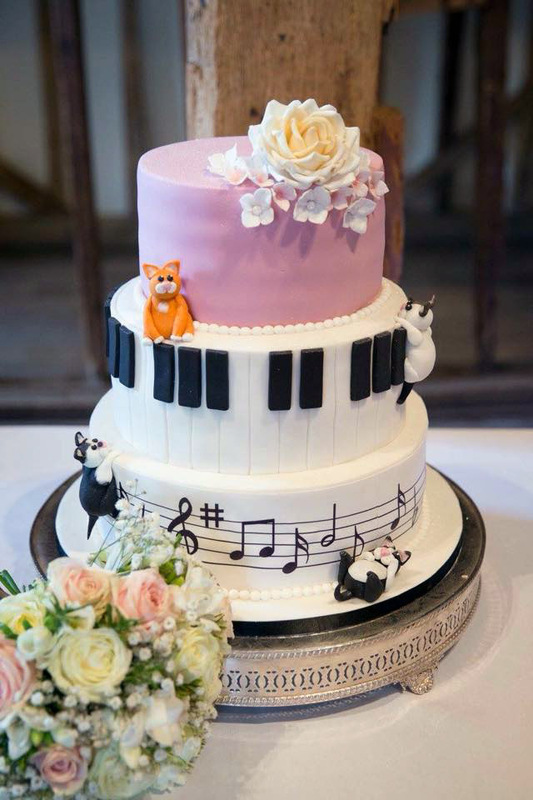 Each tier has a unique decoration.